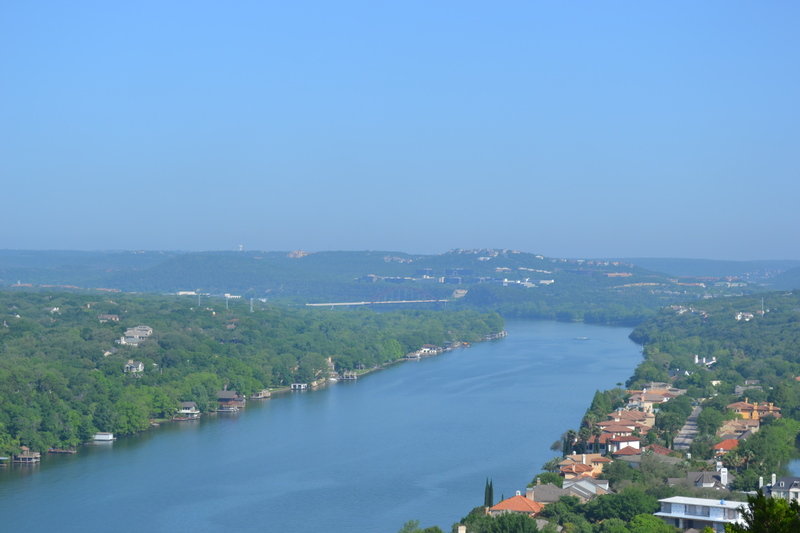 People know Austin as the Live Music Capital but is it the only thing attracting people to Austin? 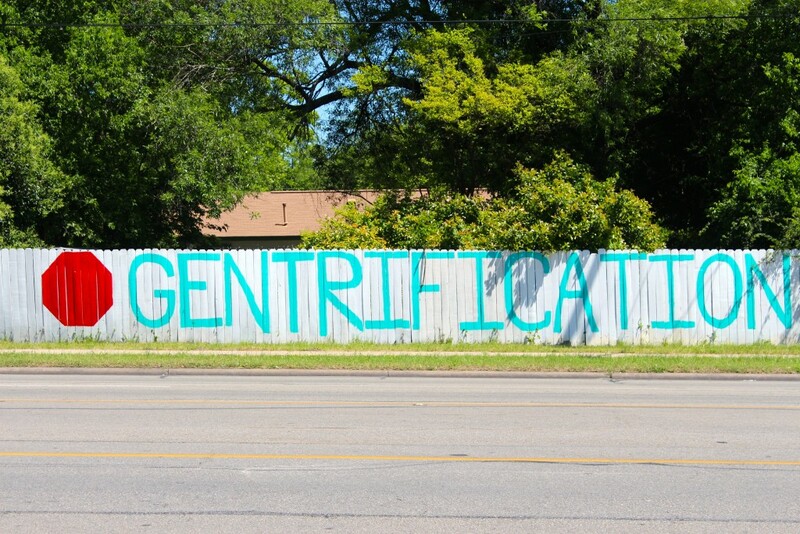 Although the city is displayed as a positive, welcoming place, it definitely has flaws. 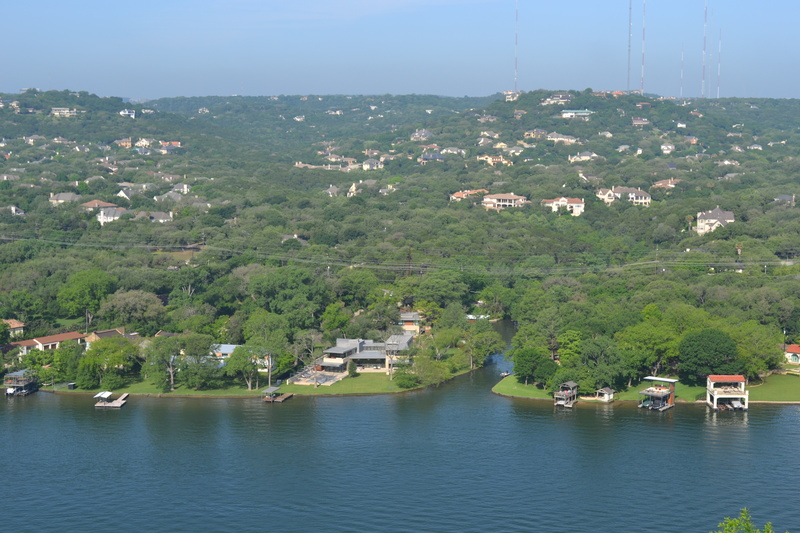 Austin has been named 4th in the U. S. for the worst traffic and has been titled the most economically segregated city. In 2005, Joel Shuler founded Casa Brasil, an Austin-based coffee importer and roaster that specializes in premium Brazilian coffee. 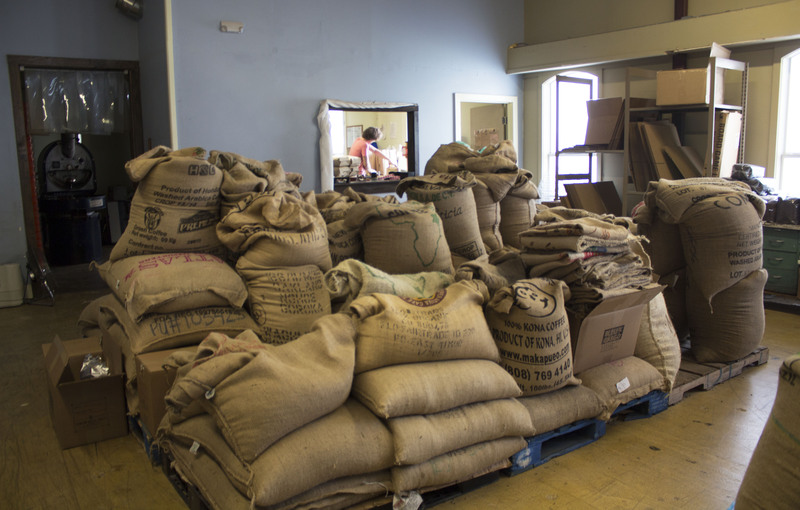 The coffee is roasted fresh to order in small batches and sampled to ensure quality. Blending his love for Brazil and his passion for coffee, Shuler hopes infuse every cup with “sabor e progresso” (flavor and progress). 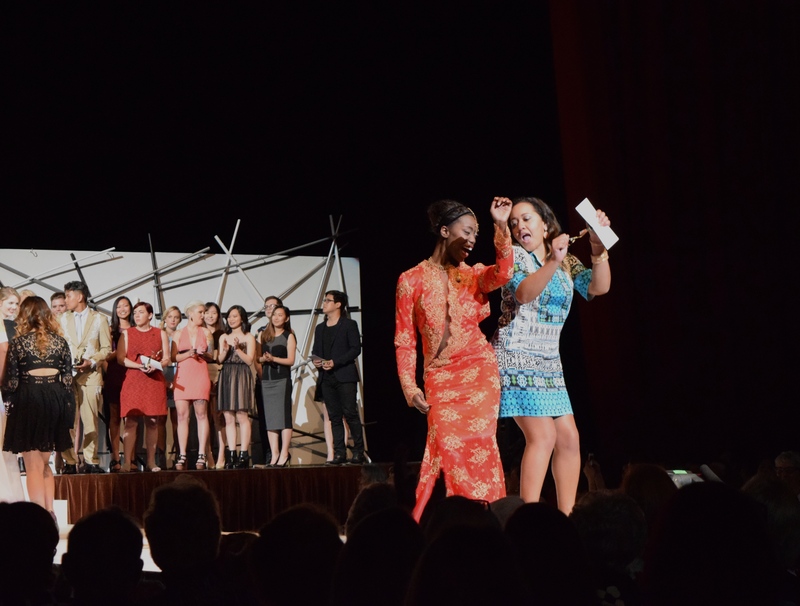 The University of Texas at Austin’s School of Human Ecology Textiles and Apparel division and the University Fashion Group partnered together to put on the FUSION fashion show. The show featured 23 senior student designers, all eager to show off the pieces that they had been working on all year. Click here to read more about the FUSION fashion show. 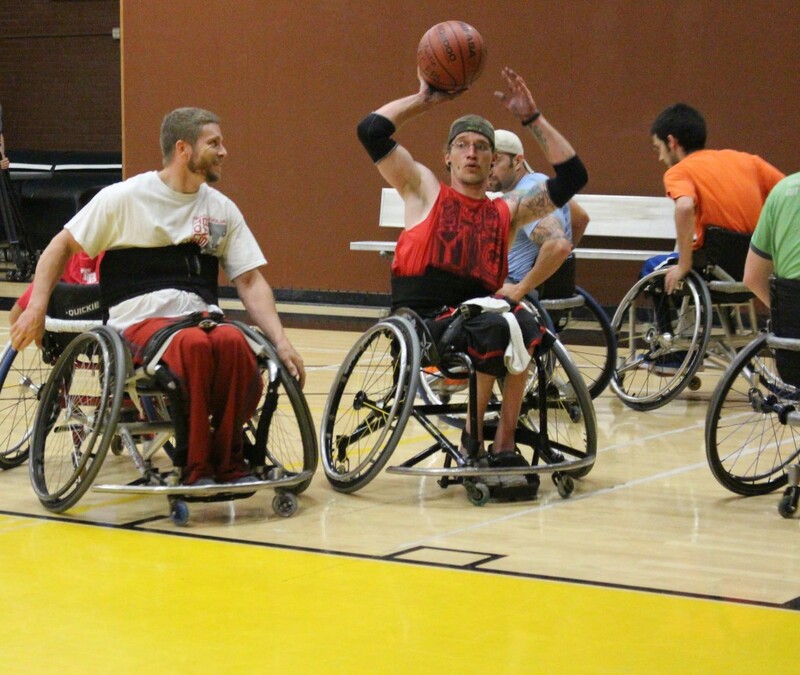 In 1978 the wheelchair basketball team, the High Rollers, played at Anna Hiss and Gregory Gym at The University of Texas. Players snuck David Wear, a non-UT student, into the gyms to participate since the team was always looking for more players. “We were good until they came in to get our IDs,” Wear said. Wear was injured January 8, 1976 at 12:30 in the afternoon. A drunk driver traveling 75mph drifted eight feet into his lane and hit Wear head on. Wear ruptured his aorta and spleen, punctured his left lung and suffered three compound fractures. Wear was 19 years old at the time of the accident. It forced him to start searching for a new identity. Masses of students stand at events, all clad in burnt orange, their pinky and index fingers standing straight up, with the other two fingers touching their thumbs. To an outsider, it can be a confusing sight. 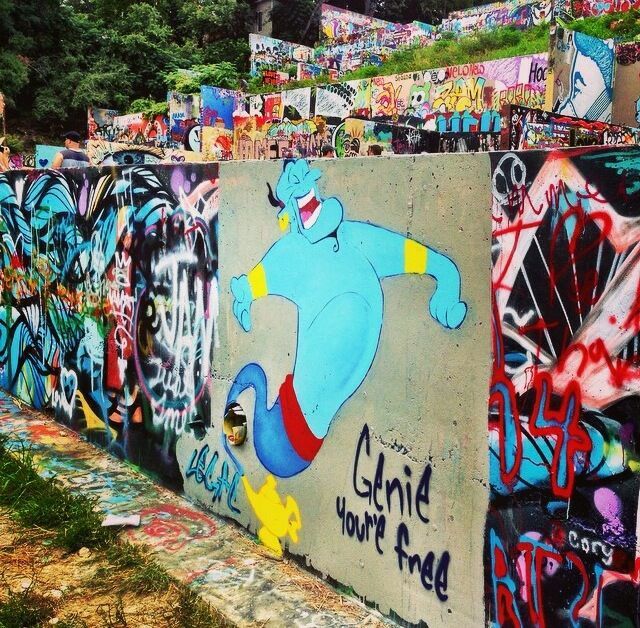 But for seniors at The University of Texas at Austin, it is a sight we will soon miss. The class of 2015 is in a strange place. We are in the middle of a tumultuous decade that is half over, but still has a ways to go. However, we aren’t the only ones to have ever been in this situation. 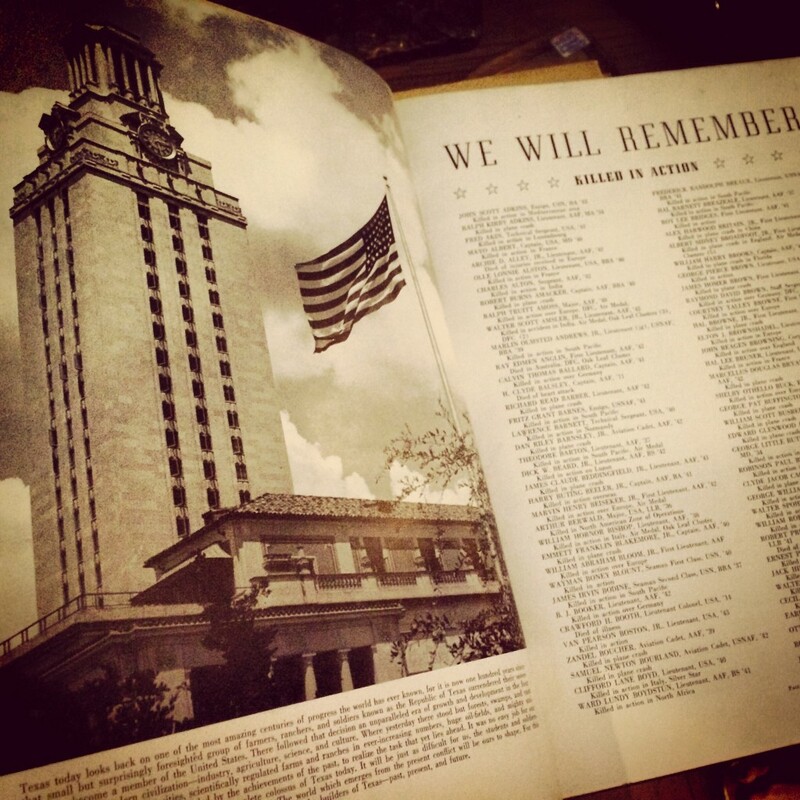 Looking back into a UT yearbook from 1945, it is curious to note that although the class of ’15 and the class of ’45 are sixty years apart, we do share a similarity. In 1944, UT President Homer Price Rainey was fired after a dispute with the regents. Very reminiscent of the “Stand with Bill Powers“ Facebook movement in 2012, the students of UT erupted. But instead of changing their profile pictures or hashtagging on Twitter, a boycott occurred where 8,000 students walked out of class and a parade, complete with a brass band, marched down Guadalupe with declaring their support for the removed UT president. Sixty years later, Longhorns are still not afraid to take a stand. 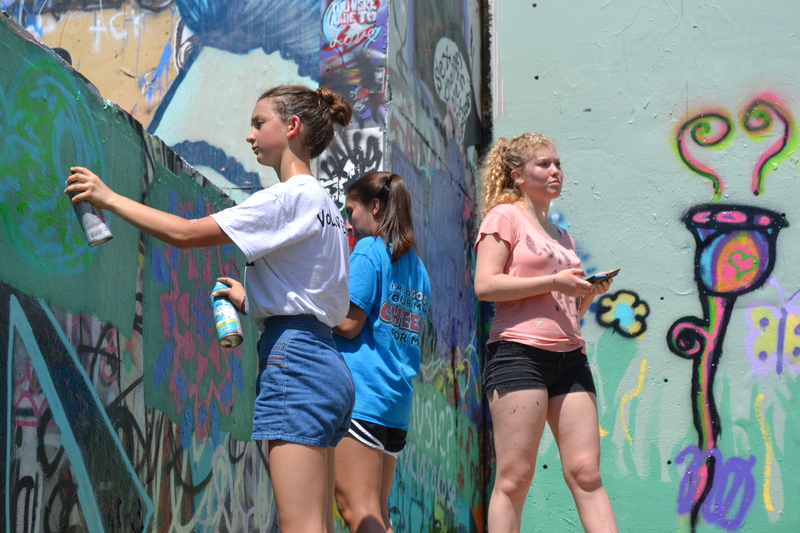 In four years, the class of 2015 has not only witnessed the power of social media movements, but has been part of the generation that created social media movements. 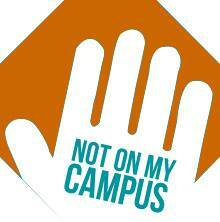 Only one of many movements, #NotOnMyCampus began this past semester, after a student learned his friend had been a victim of sexual assault. Students began writing the words “Not On My Campus“ on their hands and posting pictures on Facebook, Twitter, and Instagram in an effort to protest sexual assault on college campuses. They told us from the time we arrived at orientation that “what starts here changes the world,” but the class of 2015 decided we weren’t content to wait until we graduated to do it. Letters to our Freshmen Selves from Claire Hogan on Vimeo. Here’s a look at UT through the middle of the decades. 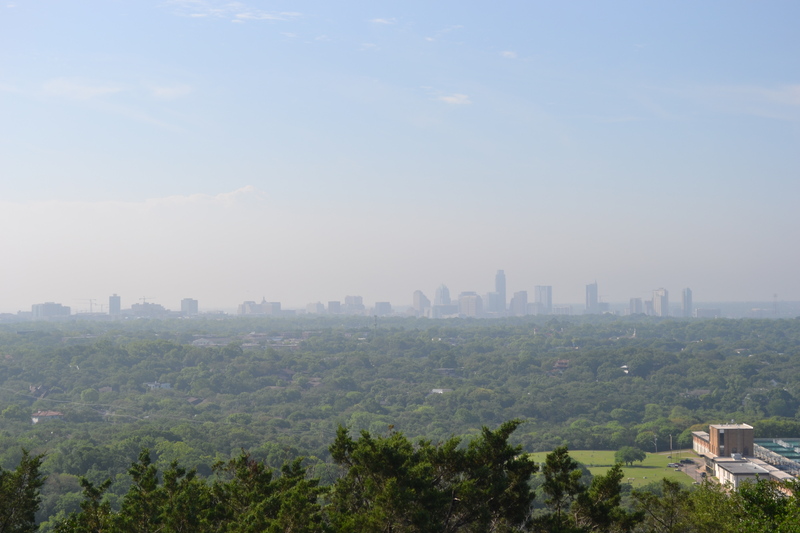 The temperature in Austin is heating up while the semester is winding down and the graduating class is becoming restless. 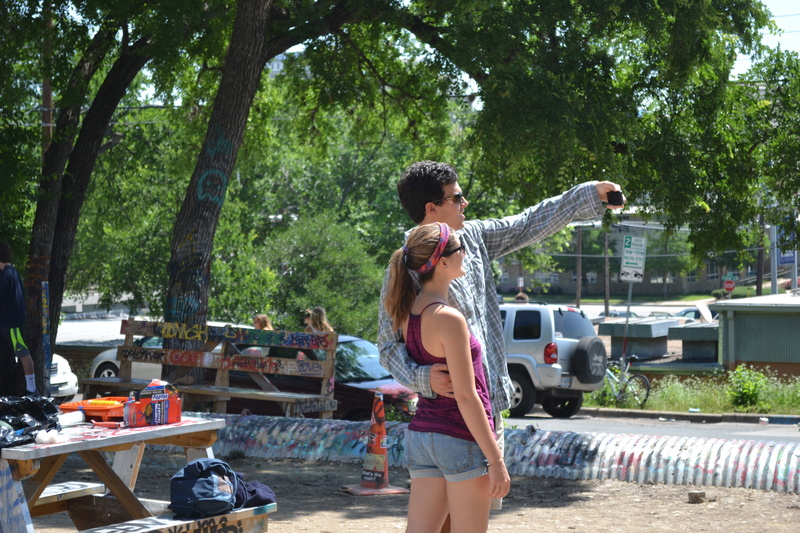 Before graduation there are a few quintessential Austin things all graduating seniors need to do before they walk across the stage. 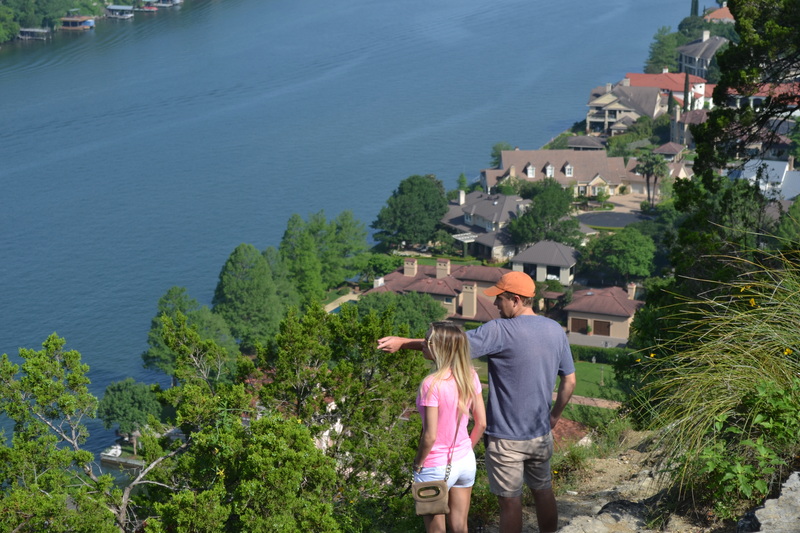 Exploring off campus landmarks, dining in five-star restaurants and spending all day on the lush Greenbelt are just some of the things students may or may not have done in their four years at The University of Texas. 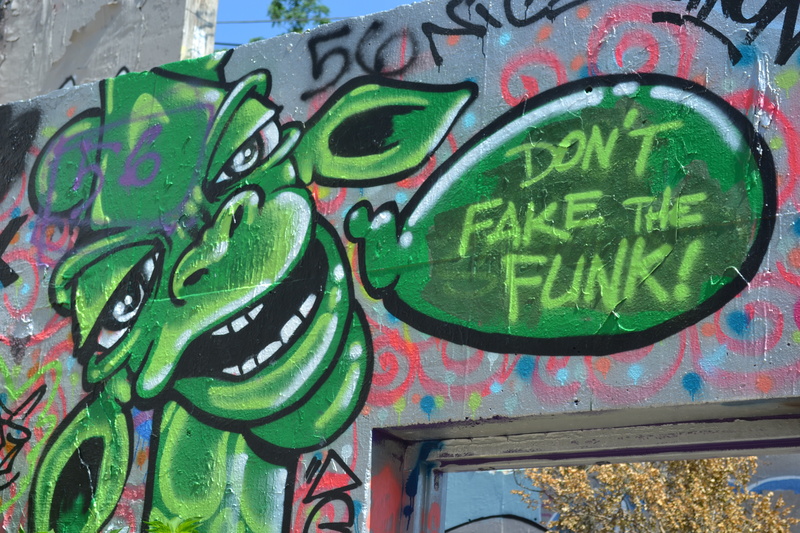 To make sure you get everything out of Austin before graduation we compiled a list of things to do in and around Austin to get the most out of the off-campus college experience. 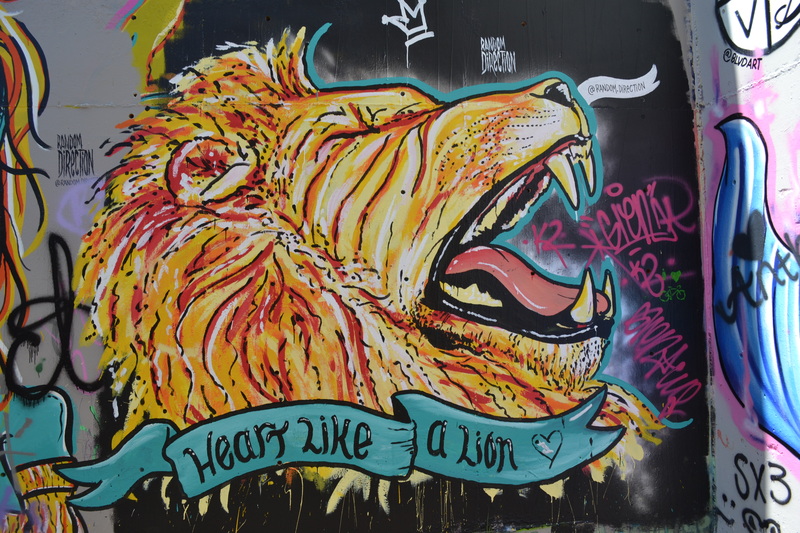 Then after you’ve checked all of these places off your bucket list we have compiled a list of resources for you to use when starting the job search and perfecting the art of the dreaded job interview. 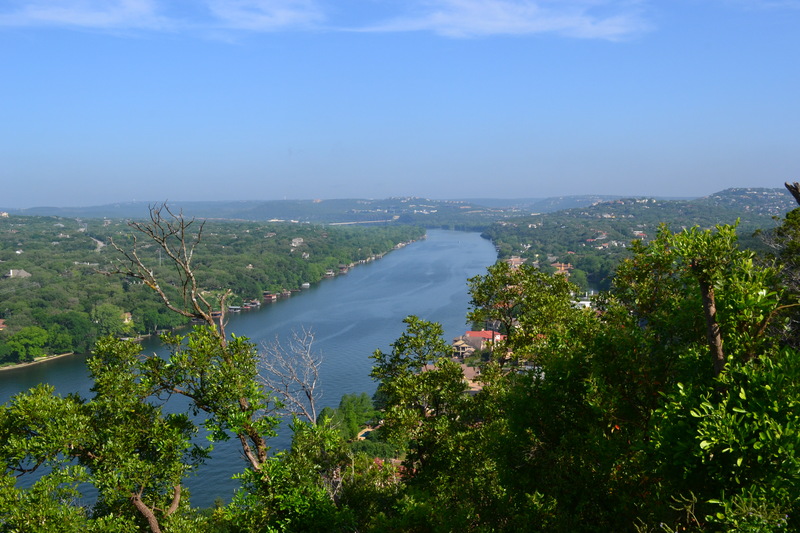 Mount Bonnell is a well-known point next to Lake Austin on a portion of the Colorado River. 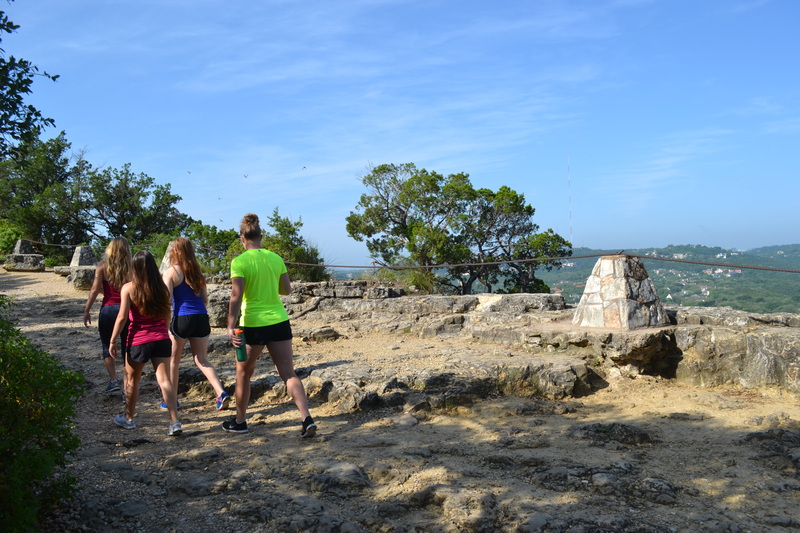 It has been a popular tourist destination since the 1850s and students have been making the hike to the top of Mt. 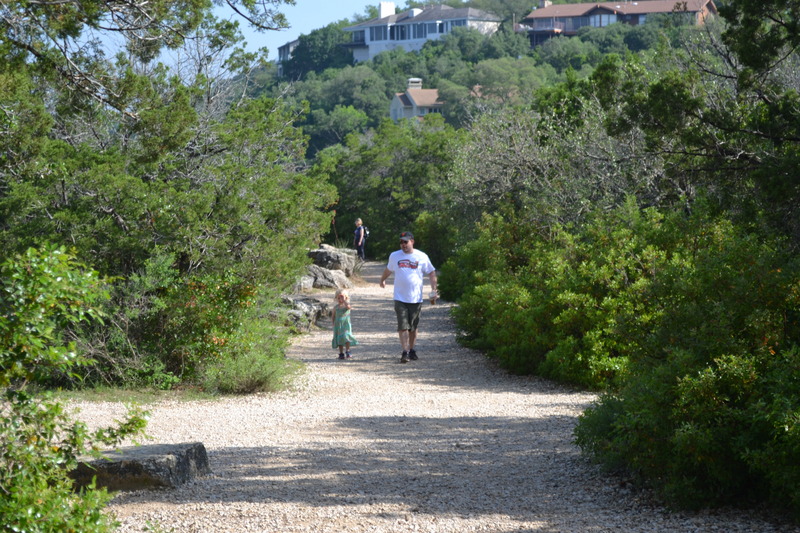 Bonnell for the great views, romantic atmosphere and physical challenge. Audrey Bounds is a senior in the school of music. She hopes to move to Nashville after graduation and get a job in music production. For now, she’s still on the job hunt but she has fond memories of Mt. Bonnell. 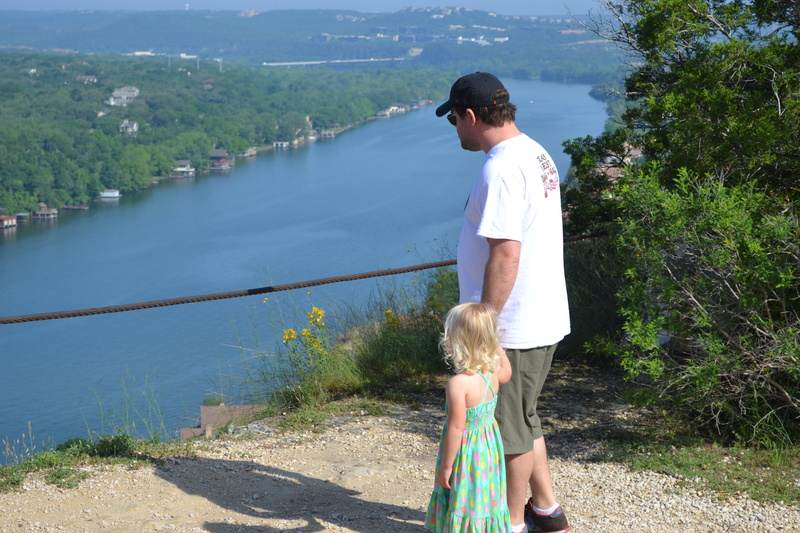 “I was really expecting a climb or a big hike to get there. 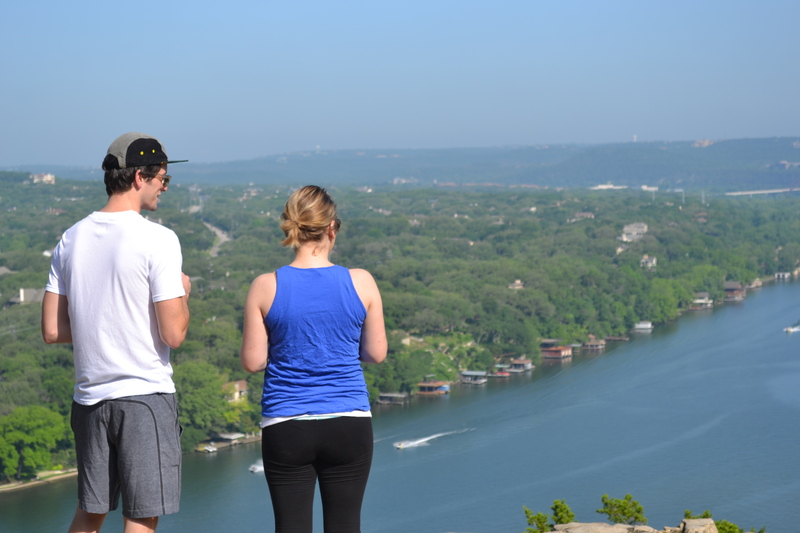 I was a little bit disappointed that it wasn’t more of a workout, but the view definitely makes up for it,” said Bounds. 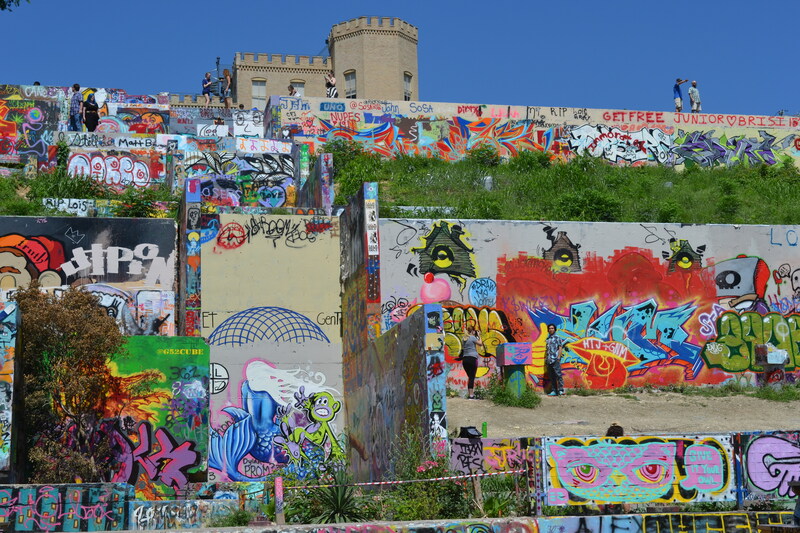 Castle Hill graffiti park sits at the base of the historic Texas Military Institute castle which was built in the 1920s and now serves as an office for a local real estate developer. 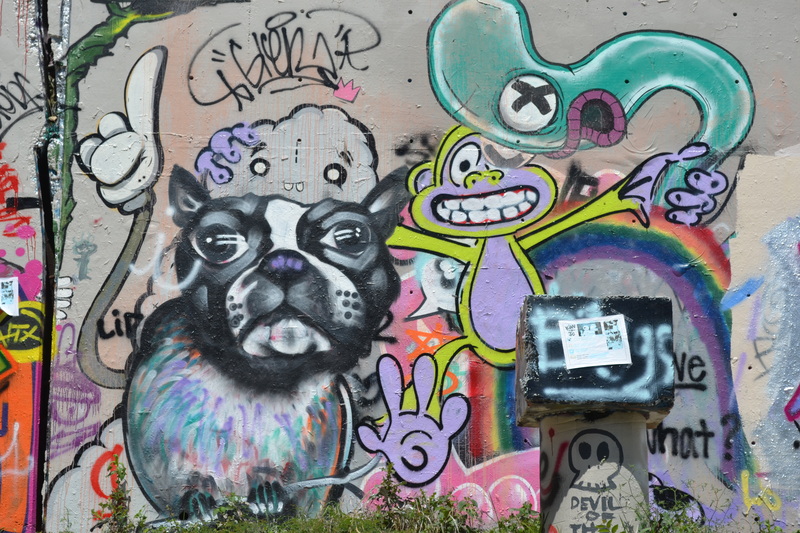 The structural ruins beneath the Victorian castle are concrete canvases for Austin graffiti artists and a special hang out for the you culture in Austin. 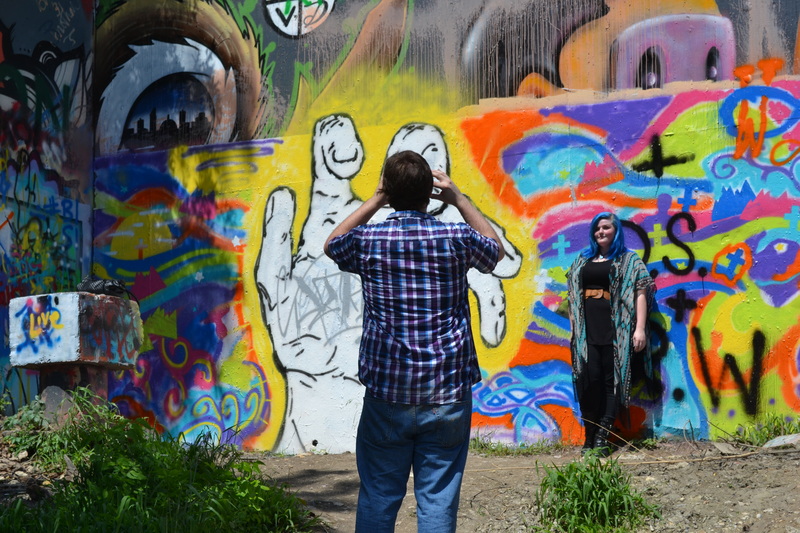 Jenna Rae Housson is a senior journalism major who has spend a great deal of time at Castle Hill. After graduation, Jenna has a one-way ticket to Prague. She will do summer school then spend the rest of the summer traveling Europe and working on sustainable and organic farms. If you have made it through the first four years of college without every going to Kerbey Lane you better go now. The Austin staple is the go-to late night hangout serving up the greasiest, homey food every late night studier or party-goer dreams of. Shelby Flowers is a senior history and RTF major. 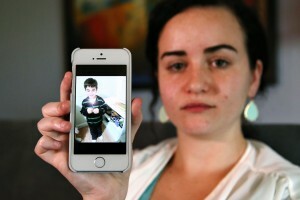 After graduation she is moving back home to Whittier, Calif. to take time off before finding a job. She hopes to be a historical consultant for production companies, but for now she reminisces about all of the time she has spent at Kirby Lane. Alright, fun’s over. 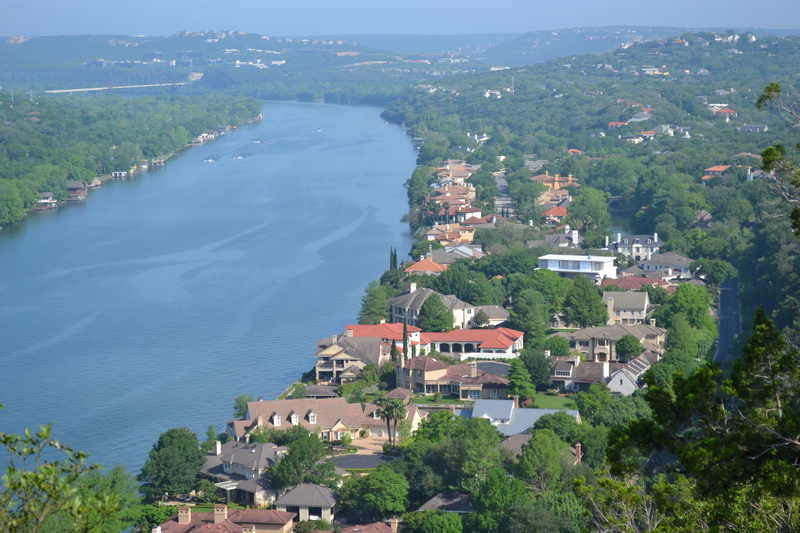 Now that you have gotten your fill of Austin and crossed those last minute things off your bucket list it’s time to get down to business and that means job hunting. 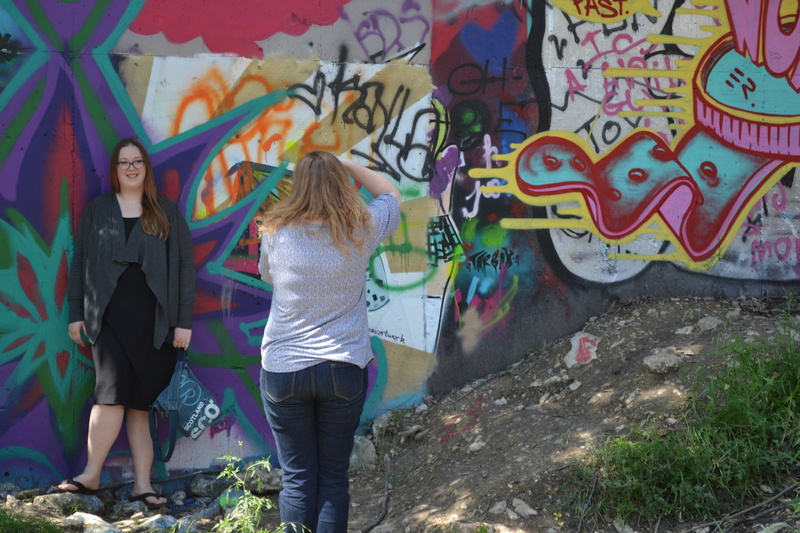 Alexandra Heart, a graduating senior and journalism major, is taking the job hunting process one day at a time. “Anything past [graduation] isn’t even on my radar yet,” she says. While many students are taking these last few weeks, day-by-day, the reality is time starts to fly by and before you know it everyone has a job but you. In order to avoid missing out of potential job opportunities we have compiled a list of resources, tips and tricks to help you get the job you want. 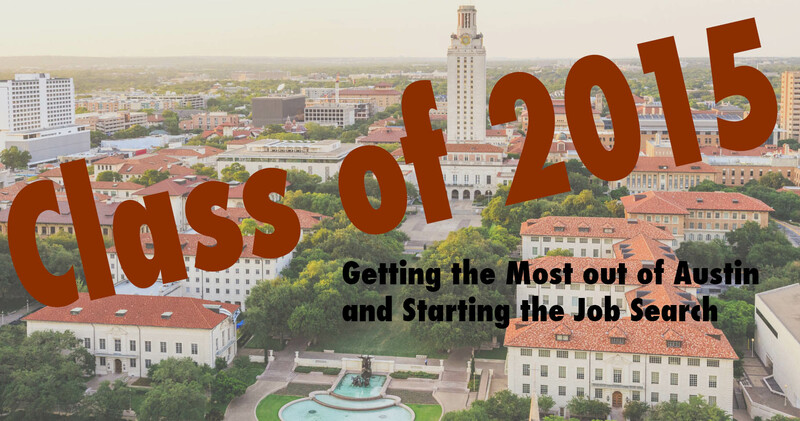 The Career Services office isn’t the only helpful resource when looking for future work and the university has an endless amount of resources for recent graduates. If you haven’t taken advantage of these yet, we suggest you flip through this slideshow to find out just post-graduation aid available to you. 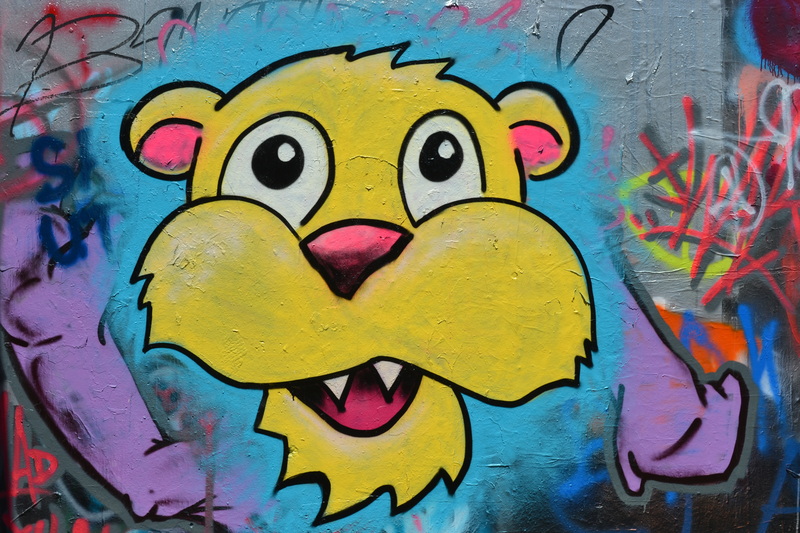 Now that you have done your homework and written the perfect cover letter, it is time to really get down to business. Perfecting the art of the interview is a lifelong endeavor but we took the liberty to break it down to make the process a little less nerve-wracking. The most important thing we found when walking into a job interview is that you need to be prepared. Making sure you have done your research and have prepared a few questions for the end of the interview will make you a more memorable and shining applicant which will ultimately help you get the job. 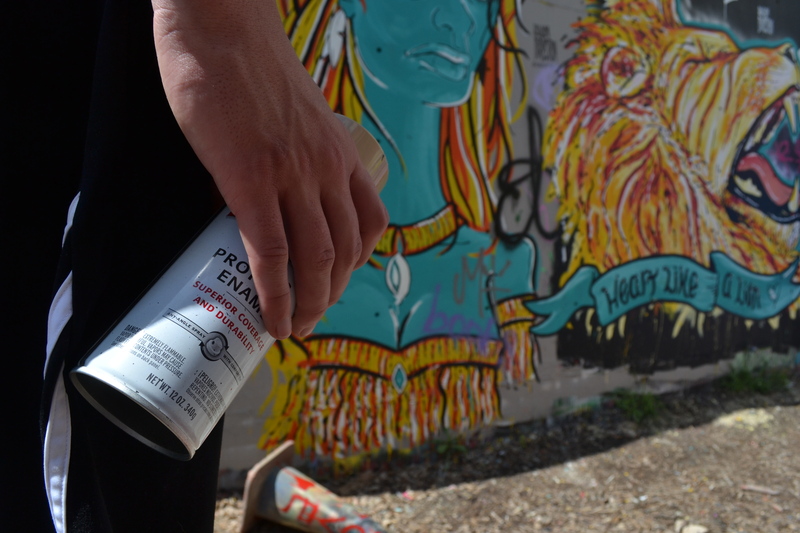 For the full list of tips watch this video to catch up on interview protocol. Last but not least it really comes down to how you look and act in person. You may have all of the t’s crossed and i’s dotted on your resume, but if the interviewer doesn’t feel a connection with you while you’re sitting across from him or her, than you’ve already lost. If you are uncertain of what is and isn’t appropriate for your interview dress then check out the next two infographics for women and men to make sure you are looking sharp and are ready to tackle any question a clever interviewer might ask, because if you look good then you feel good and yes that’s a real thing. 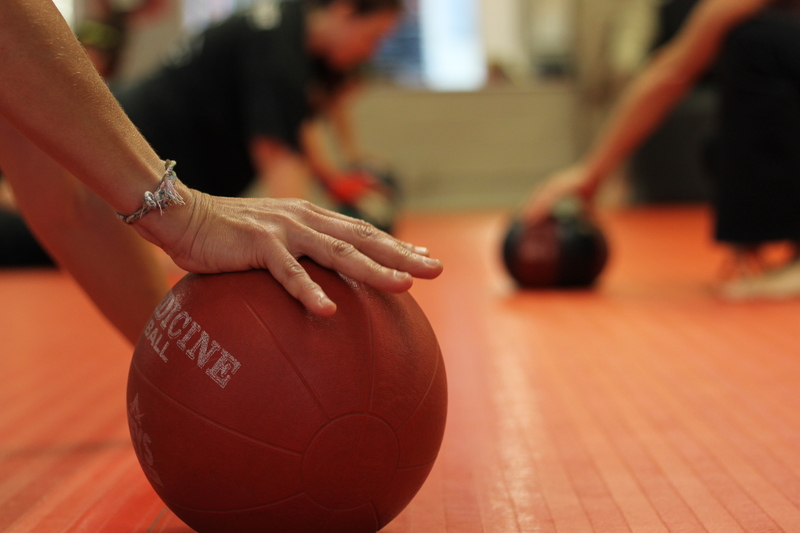 Kickboxing class starts with some exercises with a medicine ball. Here, the class is stretching. 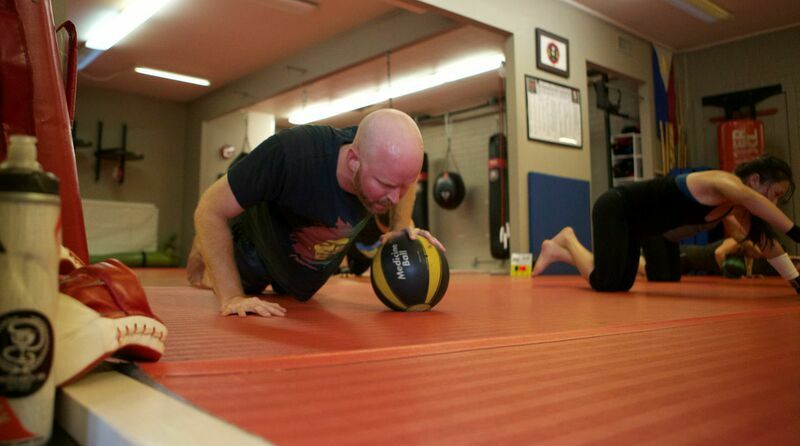 Students do push-ups with a medicine ball. 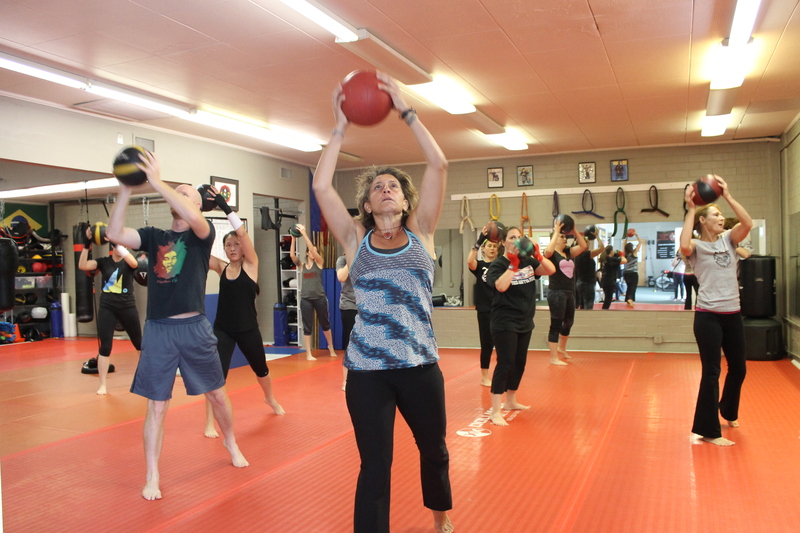 Instructor Julia Gschwind demonstrates how to do the next excercise. The class starts practicing boxing punches. 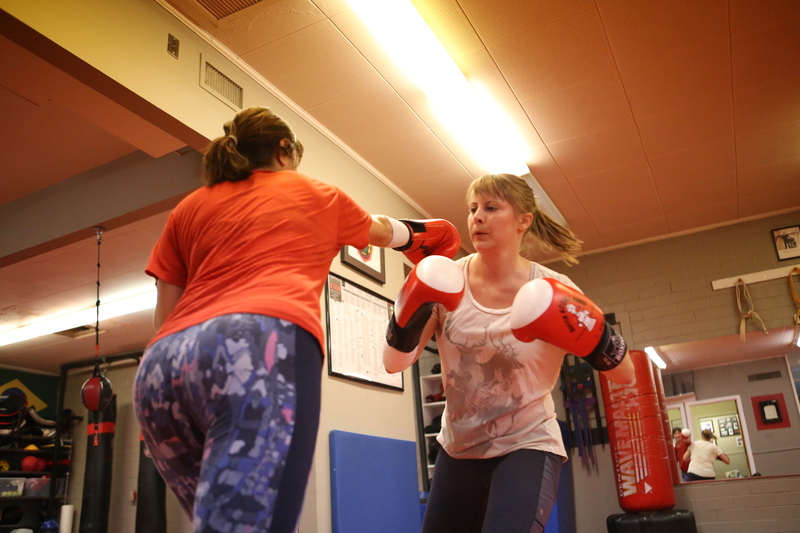 Instructor Julia Gschwind corrects a new student’s stance. 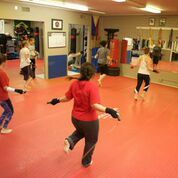 The class practices punches with various targets. 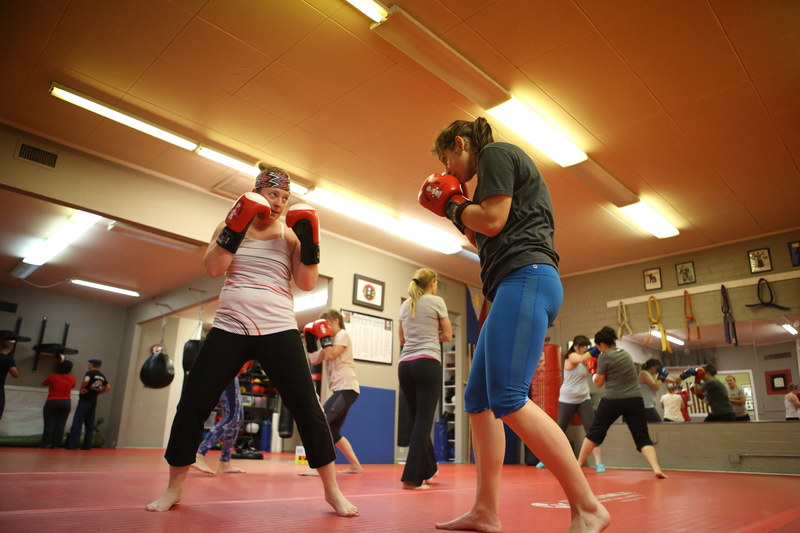 The women’s boxing class warms up by jumping rope. 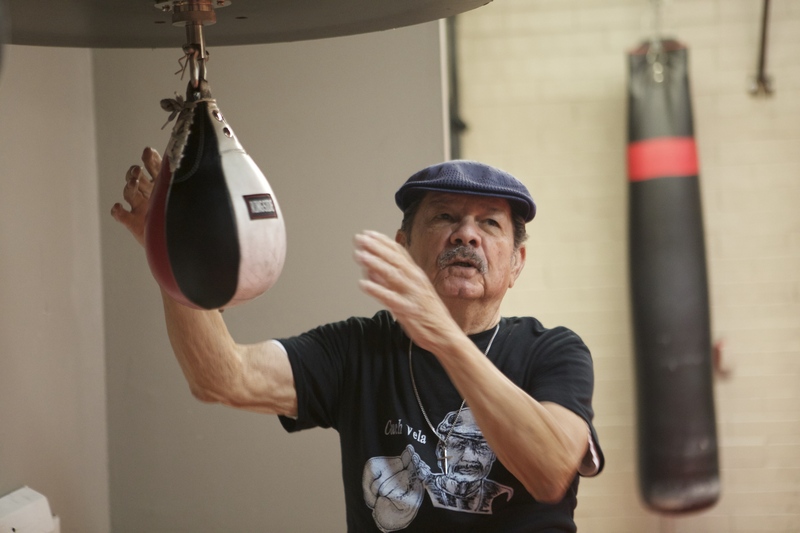 Coach Vela teaches a new student the basics. 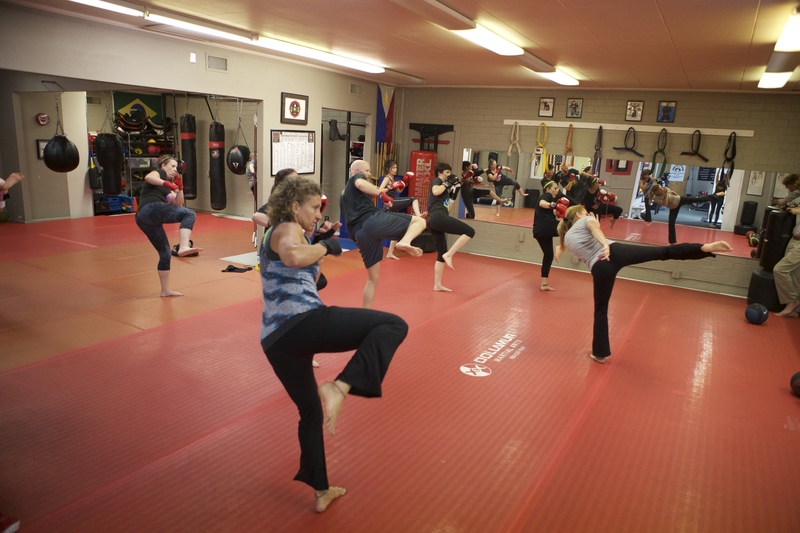 Two experienced students practice sparring while focusing on their footwork and punches. 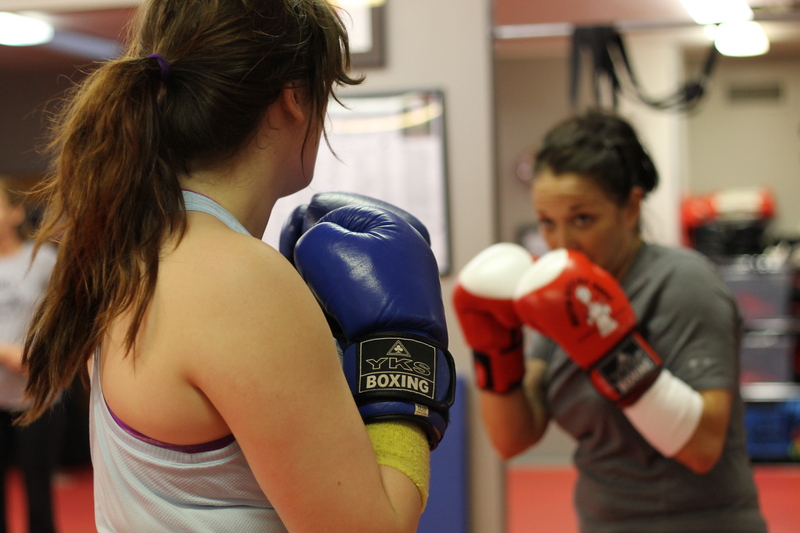 Two boxing students catch their breath before working on sparring technique. The class is divided into partners to work on various techniques. 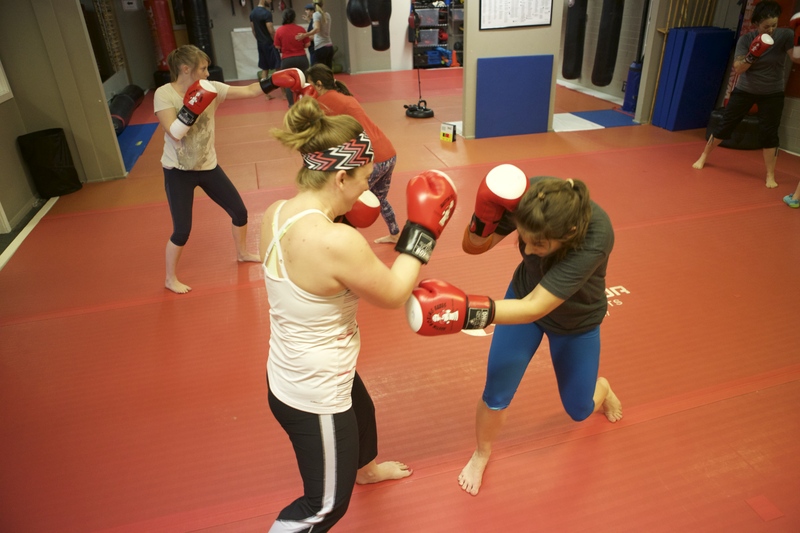 Austin Boxing Babes is located in South Austin. 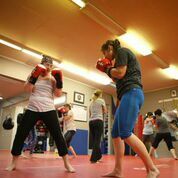 Julia Gschwind founded Austin Boxing Babes in 2007, with the hope of giving women a chance to train in an all-women environment. 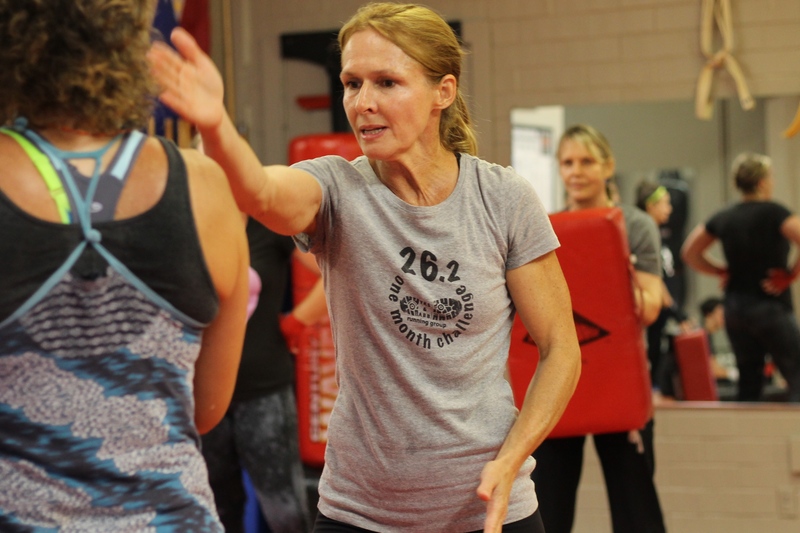 Now armed with eight years of teaching experience and a black belt, Gschwind is punching faster and training more than ever before. 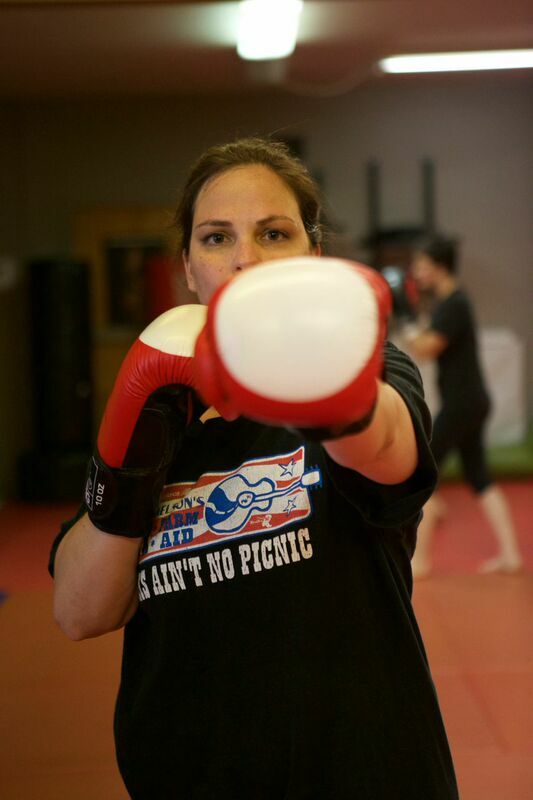 Before teaching boxing, Gschwind was a boxer herself. Since 1996, she has trained in Germany and the United States. 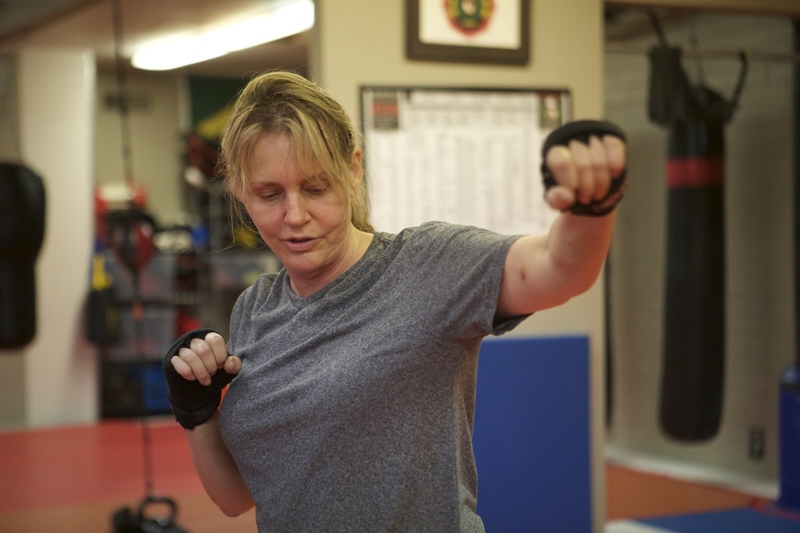 She earned her black belt — the highest achievement a boxer can receive — in 2011. 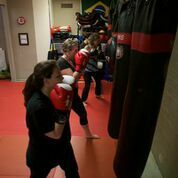 Gschwind said boxing is a “completely different skill.” She said she fell in love with the sport a long time ago, and hasn’t been able to stop. I have many favorite moments throughout the weeks and months —it usually happens when you see a client get it,” Gschwind said. 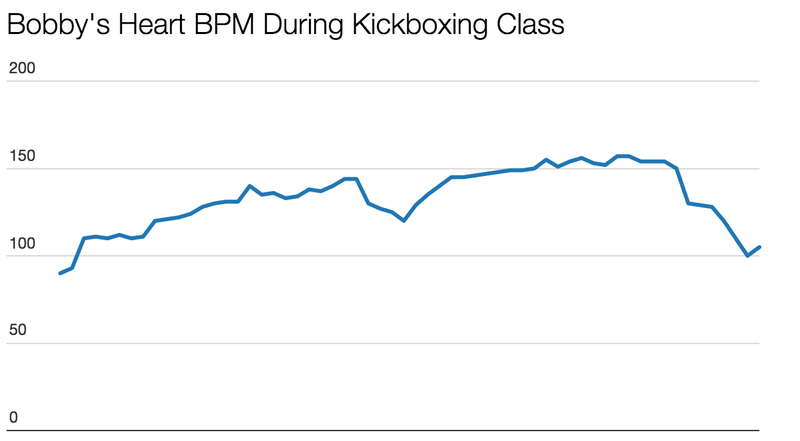 Bobby Blanchard tried a boxing class himself, and his heart beat above shows how he struggled and strained himself. Most recently, Gschwind said her heart was warmed when she was working with a young girl with cerebral palsy — a movement disorder that often appears during childhood. The girl was jumping rope, but had struggled to master the technique of crossing arms in between jumps. 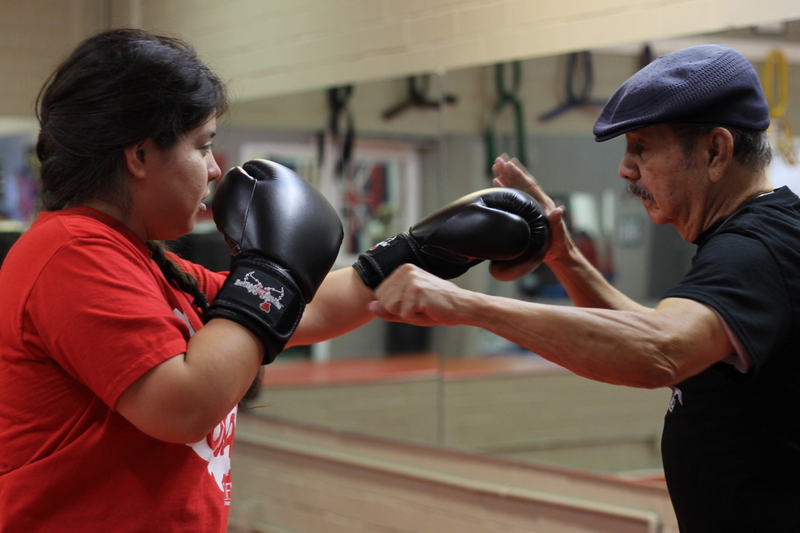 She said people are sometimes scared of trying boxing — but she encourages everyone to give it a chance. 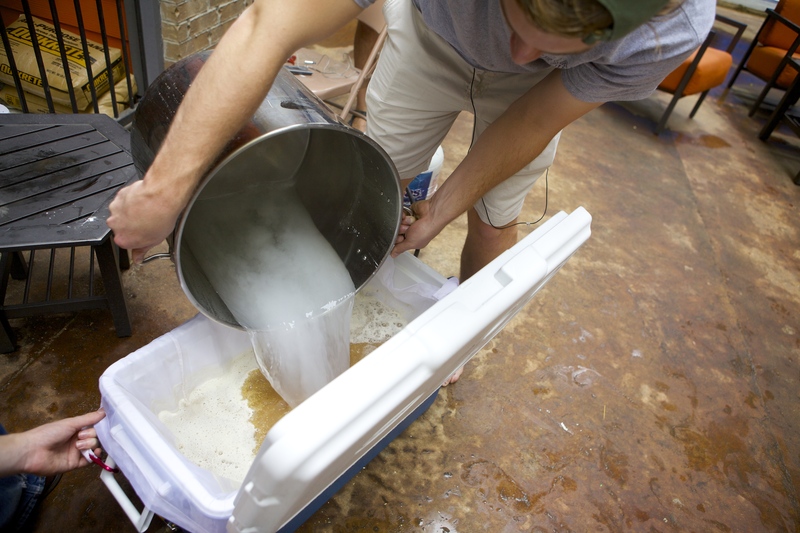 University of Texas sophomore Will Craven rises early on a drizzly Sunday morning to initiate the fermentation of his specialty home-brewed India pale ale. 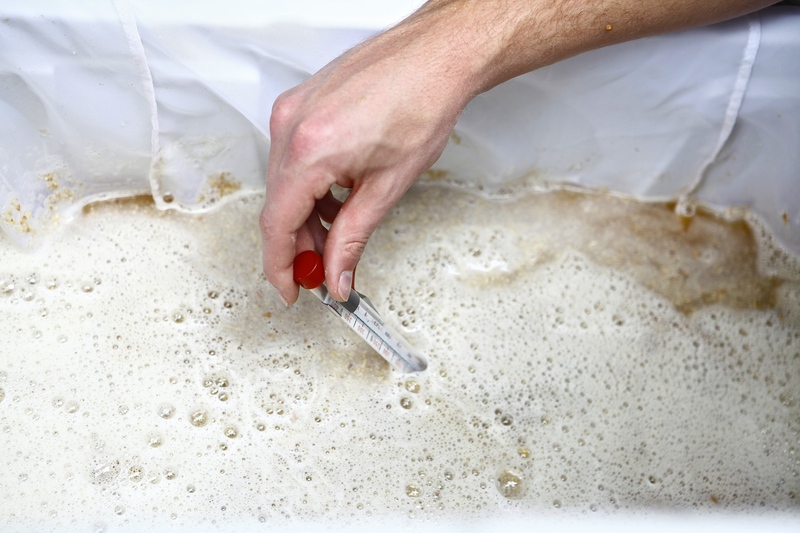 Even before achieving the two-to-four week fermentation process, the beer solution takes nearly half a day to prepare. 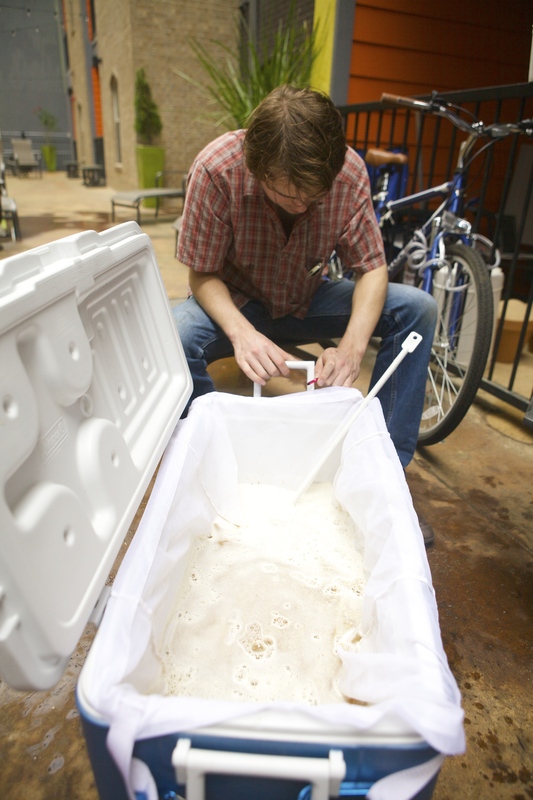 For folks like James Sutton, drinking a run-of-the-mill beer is simply not satisfying enough. 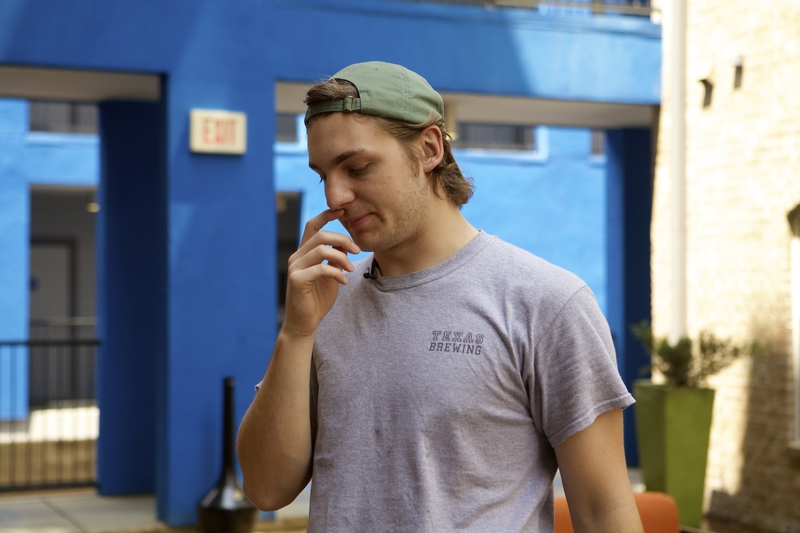 Sutton, president and founder of Future Brewers Club at the University of Texas at Austin, is a beer enthusiast who eschews the likes of Bud Lite and talks excitedly about lagers the names of which few have probably ever heard of, much less tasted. Saint Arnold is a craft brewery in Houston, just one of many that Sutton frequents on a regular basis. 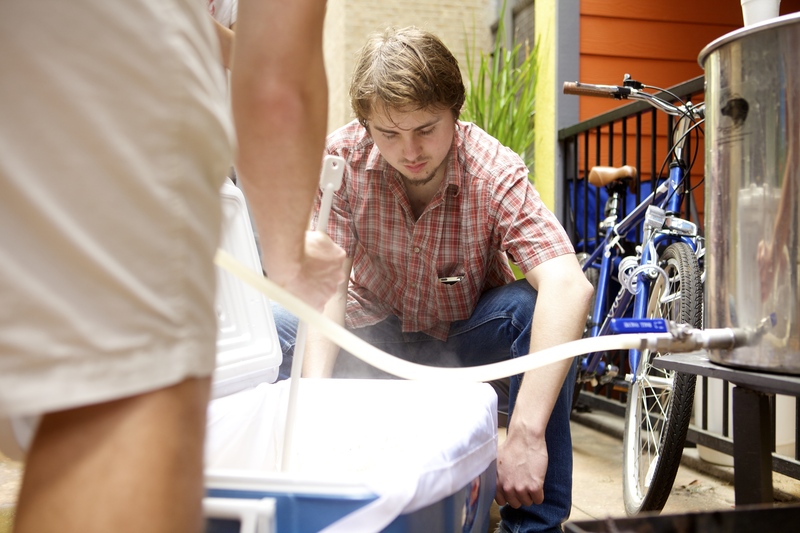 Many of the best craft breweries in the state are here in Austin, according to Sutton. 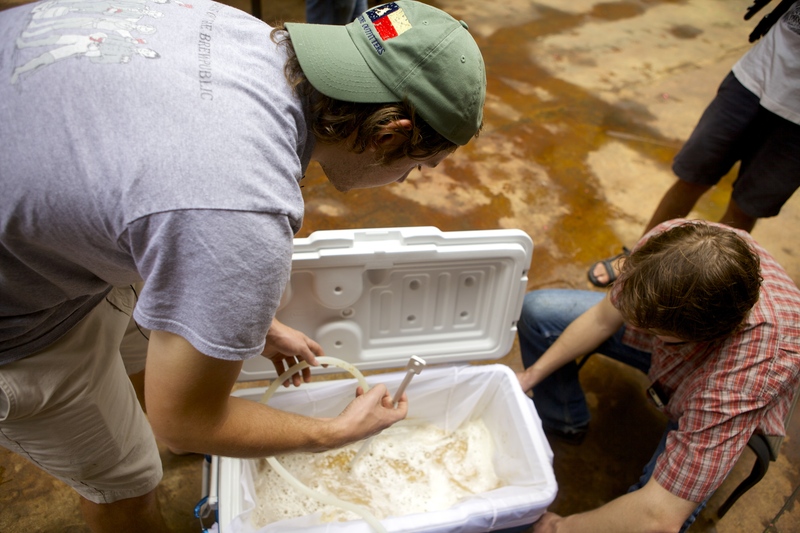 While brewing your own beer combines a bit of creativity and a bunch of complex chemistry, Sutton insists that the club is really just a vehicle to bring beer buffs together. The crux of the club is simple, but Sutton himself knows the complexities of brewing and hopes to have a career in it someday. Working at a craft brewery is not so much of an oddity anymore, either. According to the Washington Post, there are now over 4,500 of them in the United States, and sales from craft breweries constitute 14.3 percent of the $100 billion beer market. Along with his companion, Will Patterson, UT junior, Cravens secures a voluminous water-filled pot to the burner. 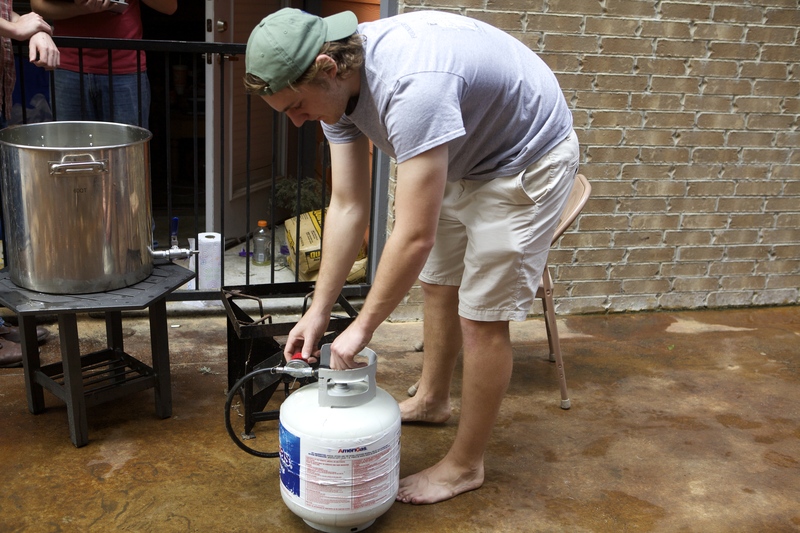 Craven prepares a propane tank to heat the beer water and create the "strike water." Craven adds Calcium Carbonate and Gypsum into the boiling water. A fine net is secured to a makeshift brewing tank. The net is used to hold the grains while the sugar water, which later turns into alcohol, comes out. 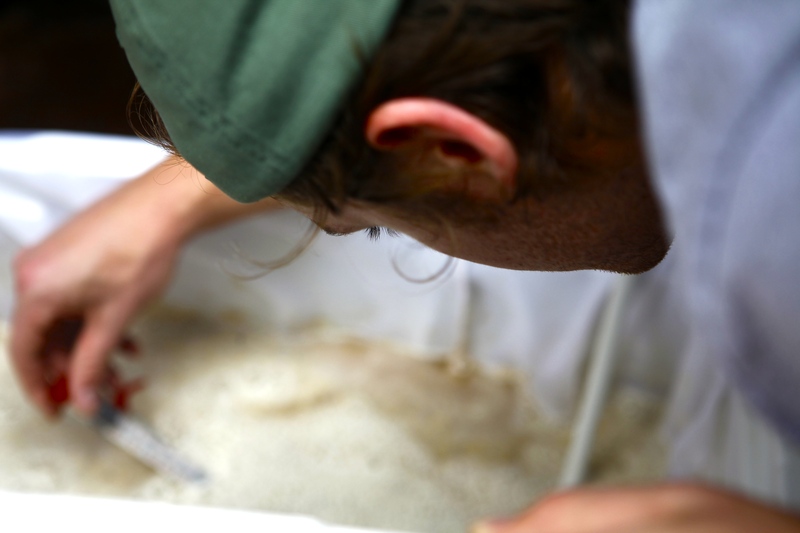 Patterson pours the brewing grains into the water-filled tank. Craven slowly stirs the grains and strike water together. Patterson looks on while Craven stirs. 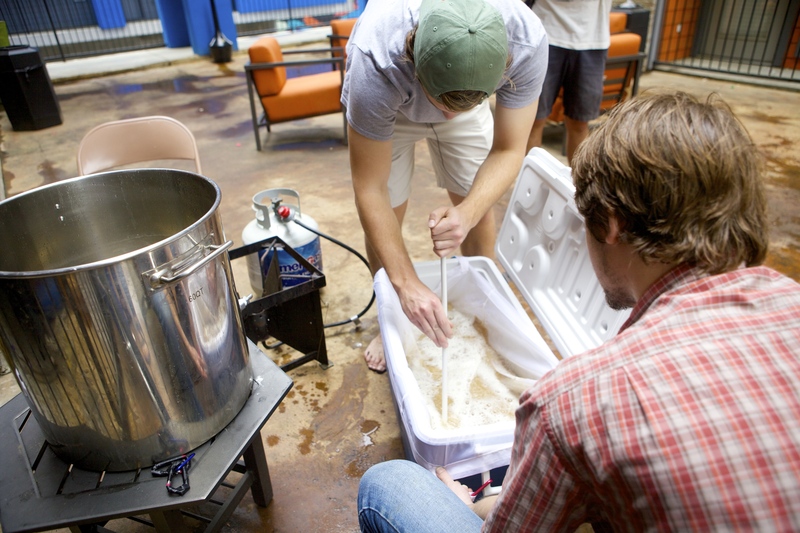 Craven admits 90 percent of homebrewing consists of "just waiting around." Craven continues to stir the grains and strike water. Patterson looks on and keeps watch on the time. Cravens pours the rest of the heated water into the brewing tank. 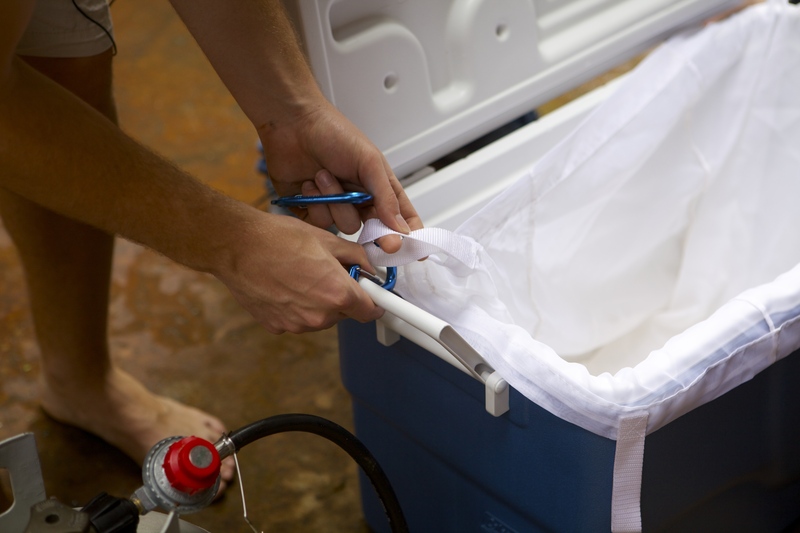 The solution achieves peak fermentation temperature at around 65-77 degrees fahrenheit. Craven and Patterson get ready to remove the grains from the brewing tank in order to begin the next step of the brewing process. "You feel pretty accomplished once you finish the entire process," Craven said. 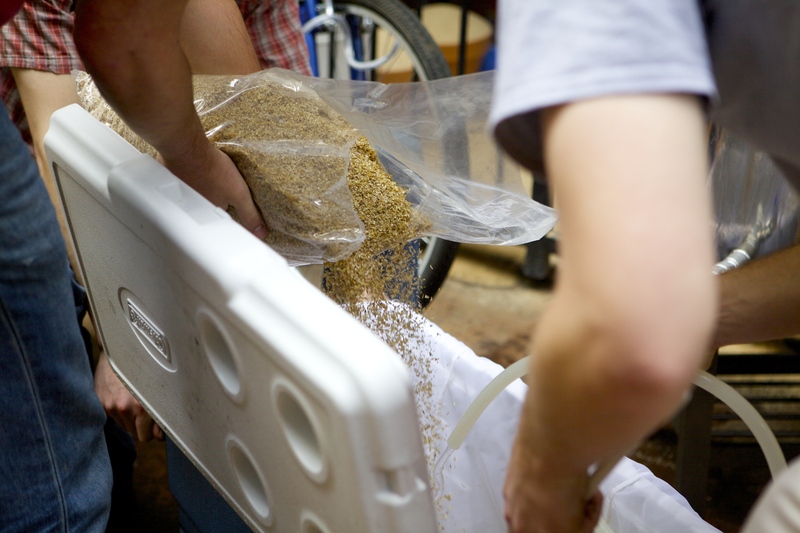 "You literally just created your own beer in your backyard. It's awesome." 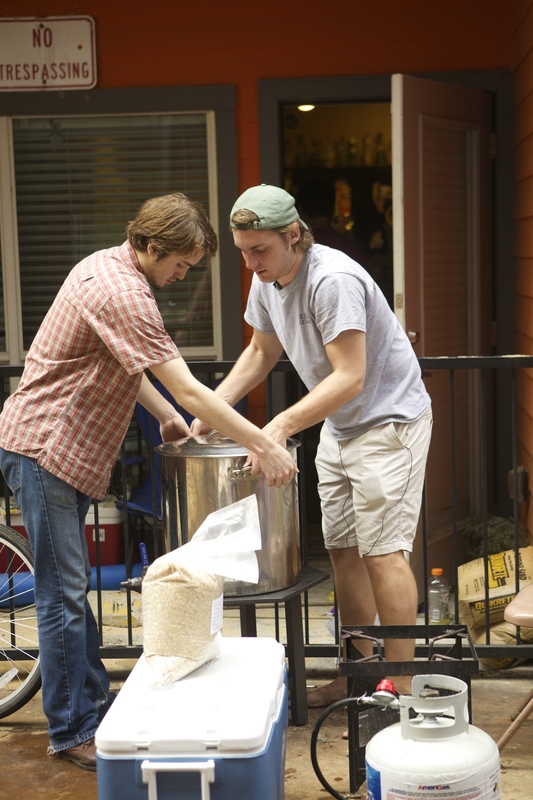 Sutton, like many craft brewers, is a chemistry major, and attests to the importance that science plays in brewing. 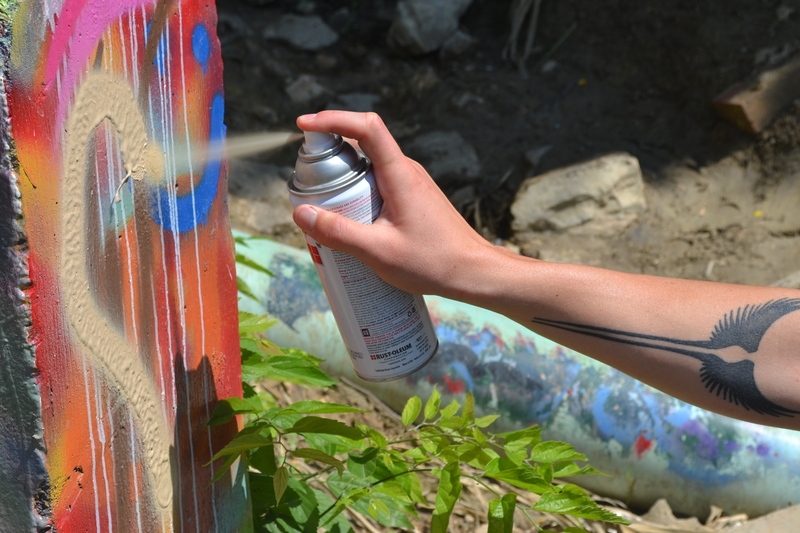 But after some prodding, the process was revealed to be not so difficult. 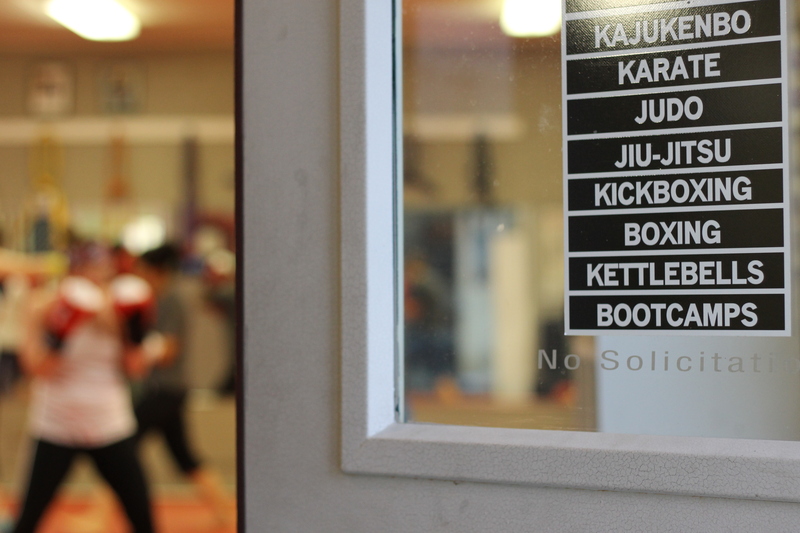 Sutton’s club was started just last year, but the membership has already grown substantially. 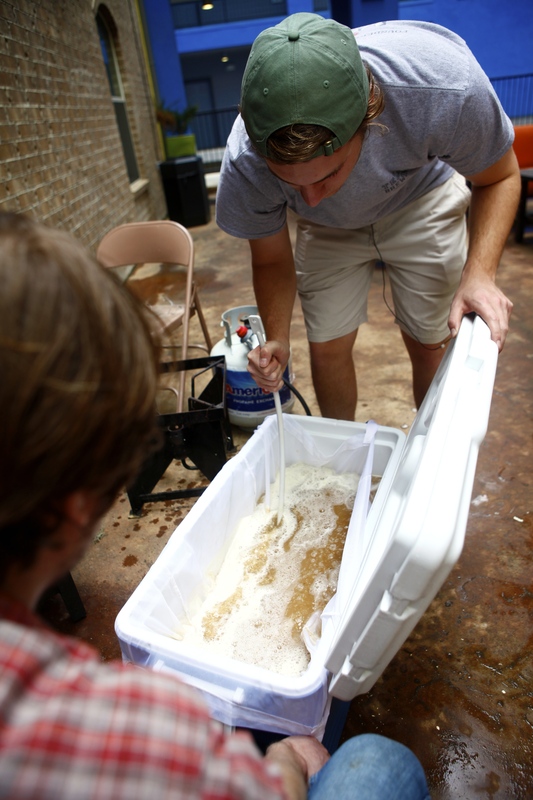 The members of the club have varying levels of interest in brewing their own beer, though seemingly none are as enthusiastic as Sutton. He claims that you get out what you put into it. In the end, Sutton said, craft brewing is all about being the right mix. Interested in brewing? Sutton tells us how. 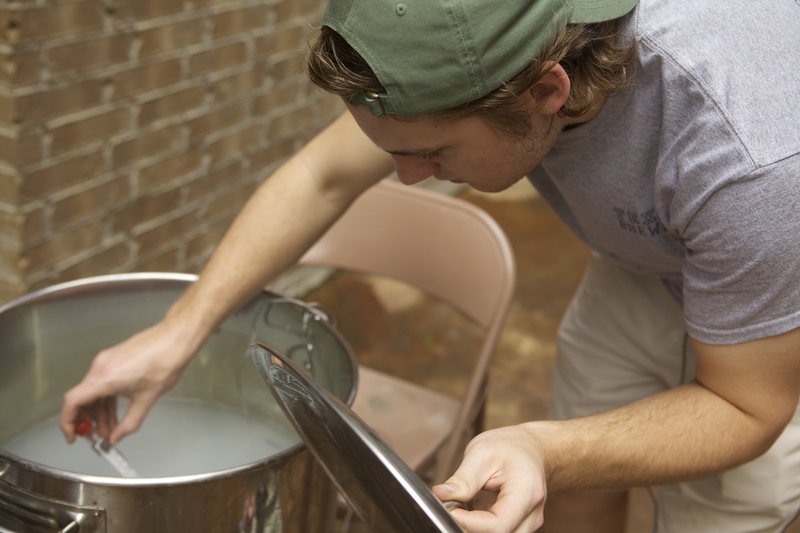 Sutton, chemistry student and president of the University of Texas’ Future Brewers Club, shares some brewing basics and what his new student organization is all about (though that you could’ve guessed), all over a glass (or two) of his own home-brewed beer. 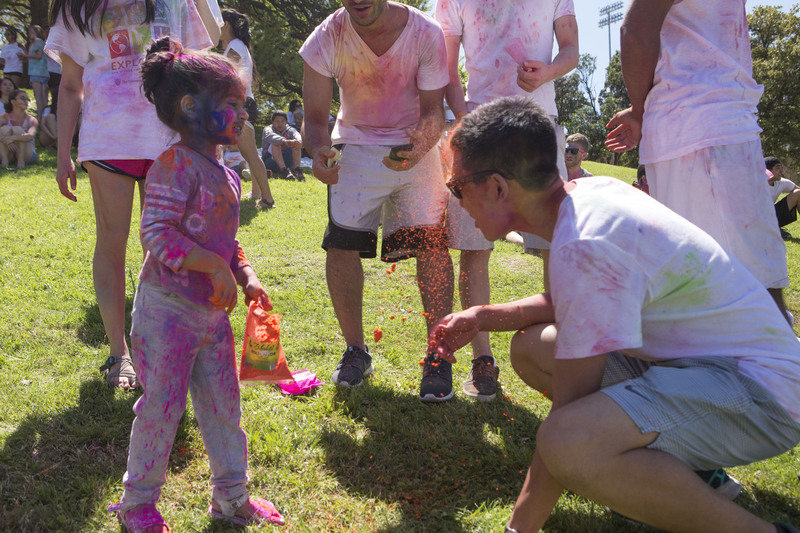 AUSTIN, TX – Colorful dust flooded the air while thousands gathered throwing colored powder as friends and strangers alike celebrated and danced to music on the lawn outside of the Lyndon Baines Johnson Library and Museum. They were there to participate in Holi,a spiritual Hindu festival to welcome the coming of spring with vibrant colors honoring Lord Krishna, the supreme god worshiped across many traditions of Hinduism. In Hinduism, Lord Krishna is the embodiment of divine joy and love that will destroy all of someone’s sin and pain. 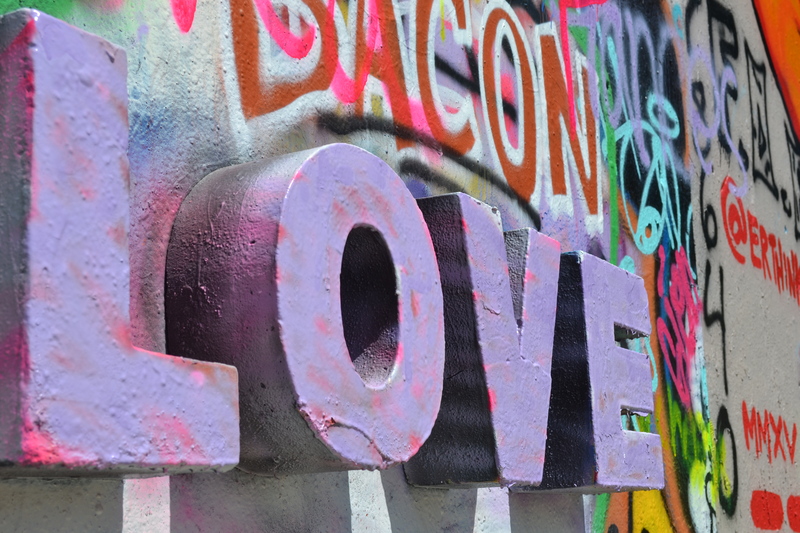 He was born to to establish the religion of love. The tradition of throwing colored powder at Holi originates from the Hindu tale of Lord Krishna, who complained to his mother about the color of his dark skin. He believed it was unfair that he was so dark, so his mother then took color and put it on his and her face so they could look just a like. Holi is now celebrated as a festival of unit symbolically eliminating the differences that can drive us apart. The colored powder that is used during Holi is from the flowers of trees that blossomed during the spring time. 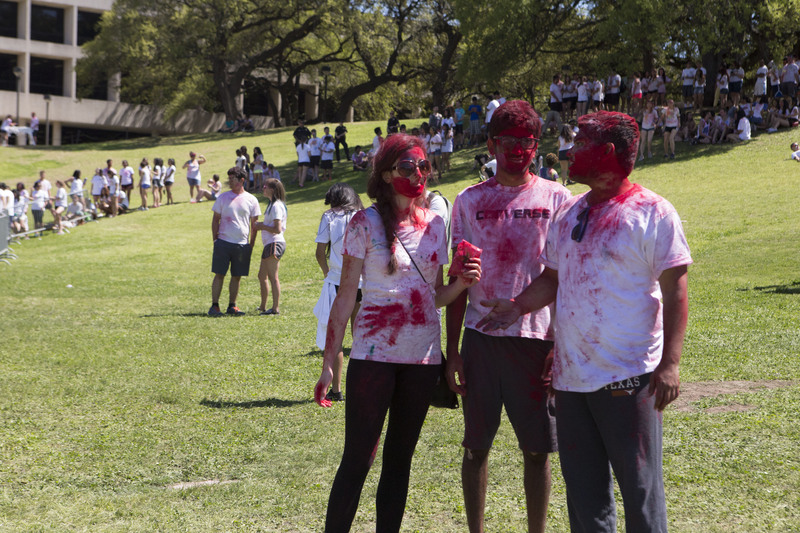 On March 29, UT’s Hindu Students Association threw the biggest Holi festival since they started the event at the university. 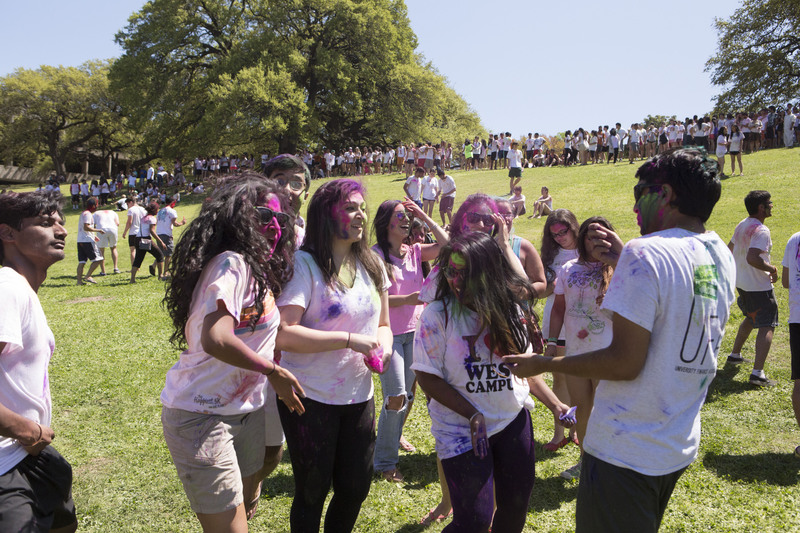 This year, approximately 8,000 UT students and people around the Austin area attended Holi. The turnout was so successful that there were times throughout the festival that they would have to take 20 minute breaks just to get more colored powder. 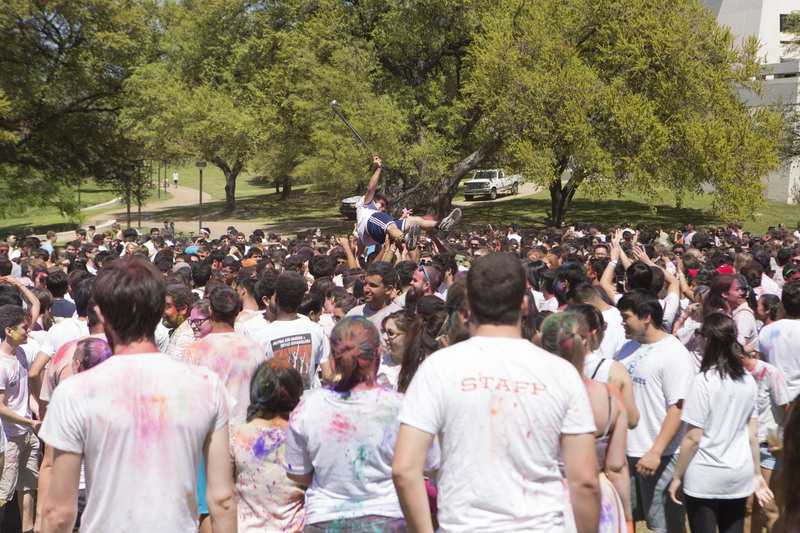 Senior UT student, Crystal Nunez, has attended the Holi festival for the past two years. She says that every year she experiences an atmosphere filled with good people, good music, and good vibes. 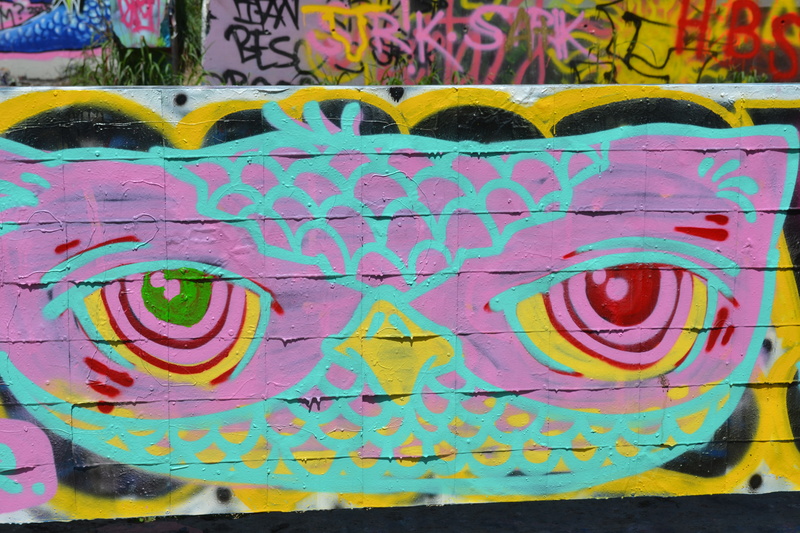 “Music, dancing, and color,” Nunez said. However, it takes more than just colored powder packets and music to showcase the annual Holi festival. Holi Co-Chair Aparna Datta, says that they start planning the event a year in advance, because they needed a lot of time to get all the materials in order for the big day. 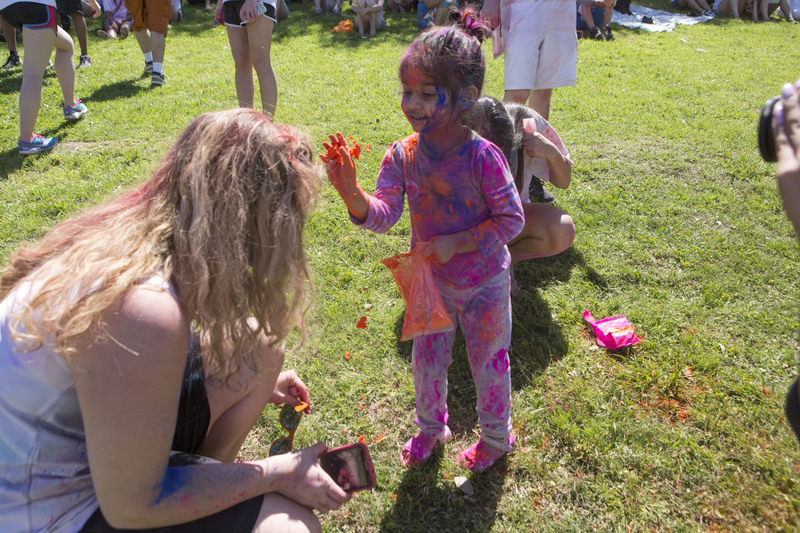 At Holi, everyone comes together to have fun as they celebrate the traditional festival in the Hindu culture. Holi celebrator Anshumala Gupta says that Holi isn’t just a time to get together and have fun, but a time to wash off all the hatred. “You are meant to forget all of the past and and actually hug people with a pure heart again,” said Gupta. The Hindu Students Association, the organization behind the event, meets weekly to discuss the concepts a practices of their shared religion. Every week a different pair of officers lead a discussions based on Hinduism topics suggested by the members. HSA President Aneesh Angirekula, says that being a part of the organization is all about the people he is surrounded with. 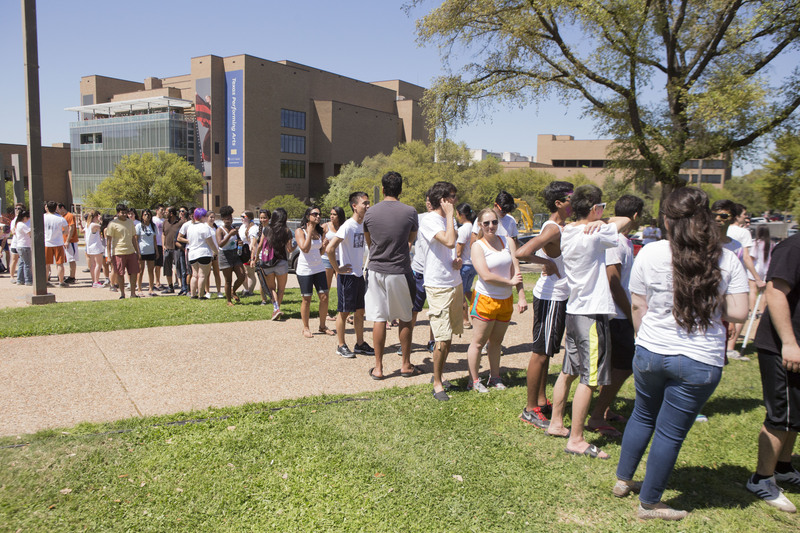 Students stood in line for about thirty minutes, as they each waited to get their own powder-paint packet. 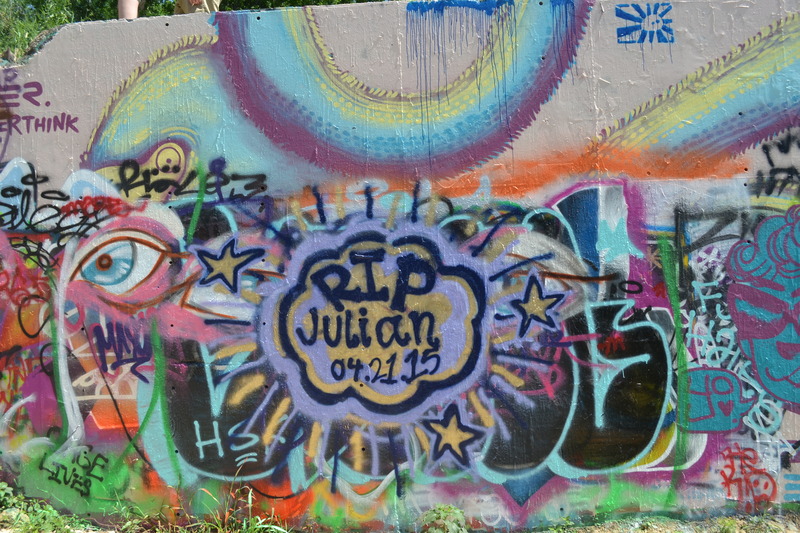 Many students danced away to the music while throwing powder paint on each other. 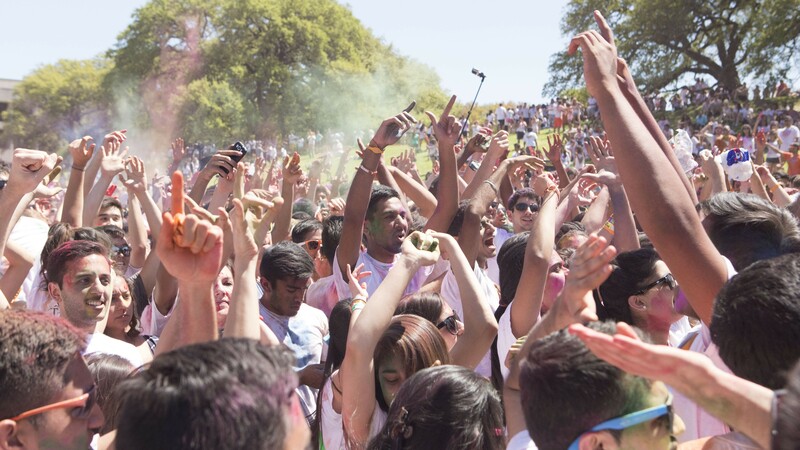 Numerous of students crowed surfed through out the event of Holi. 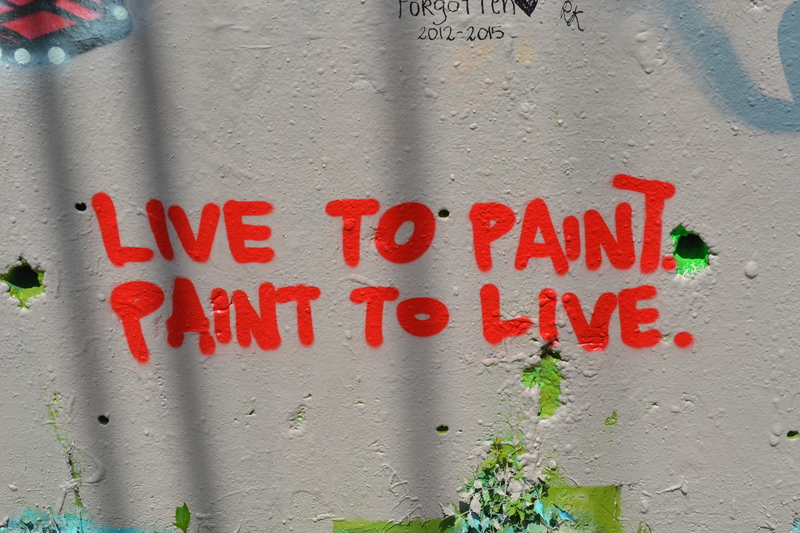 While some were tossing powder paint on each other, others were simply dancing the day away. 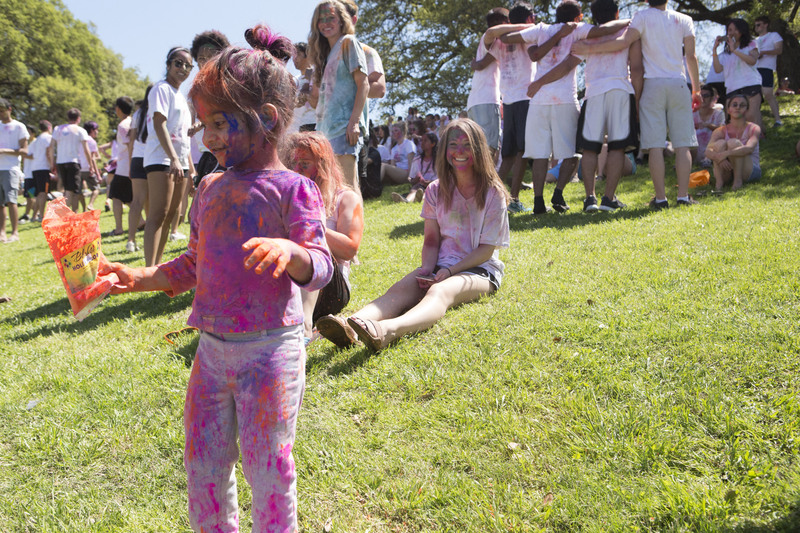 Approximately 8,000 people participated in this year's Holi festival. 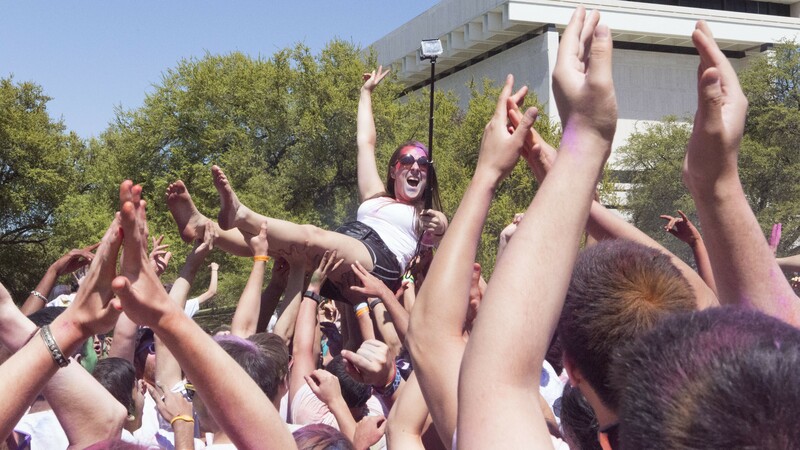 Aside from crowd surfing, students picked each other up on their shoulders to continue celebrating, Holi. At this year's Holi, the age of people who attended ranged from kids to adults. 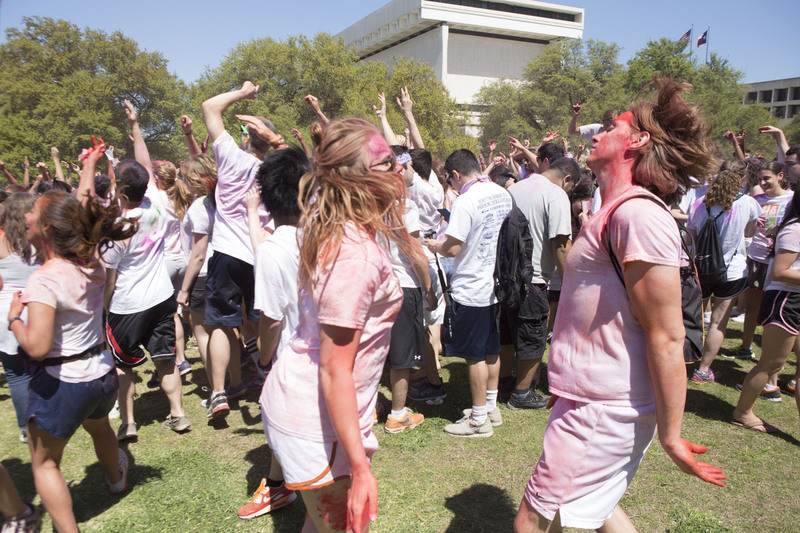 For the past years, Holi has been held in front of the UT tower. This year, the event was held outside the LBJ library. 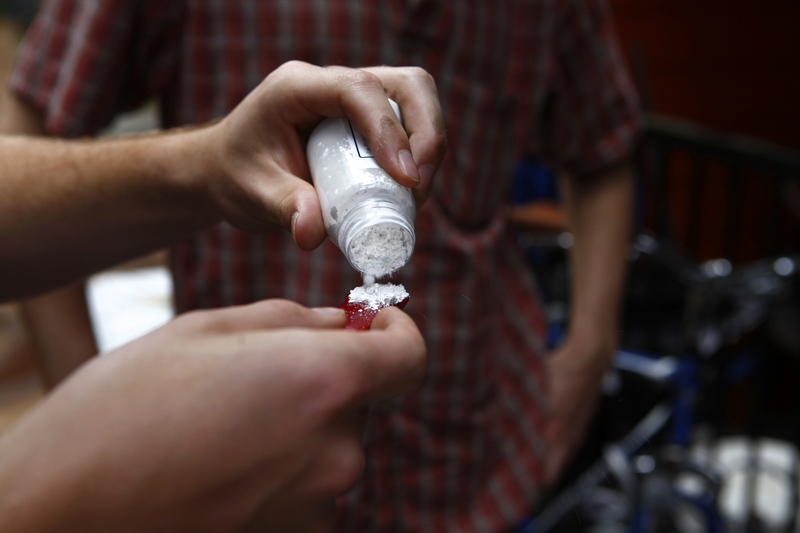 While some attendees ran away from the colored powder, others, voluntarily agreed to have a little more fun. HOLI-COW! 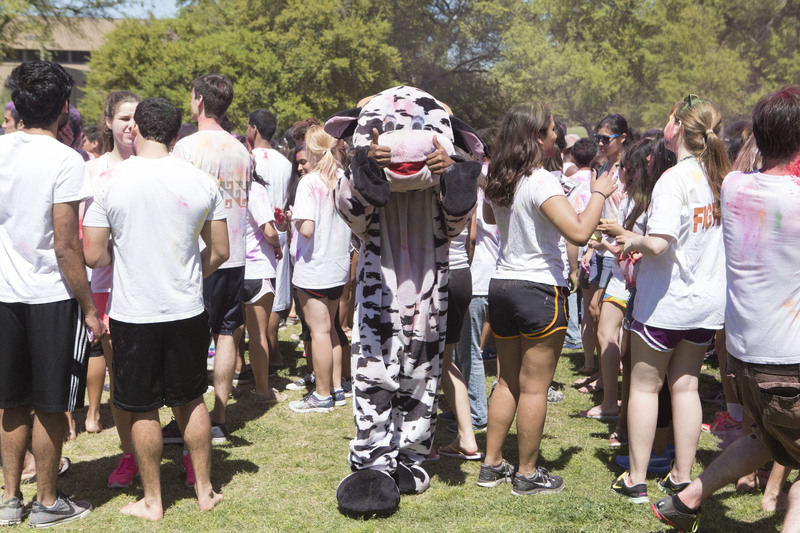 This year's Holi mascot was dressed a cow. The after effects of red powder paint on UT students. 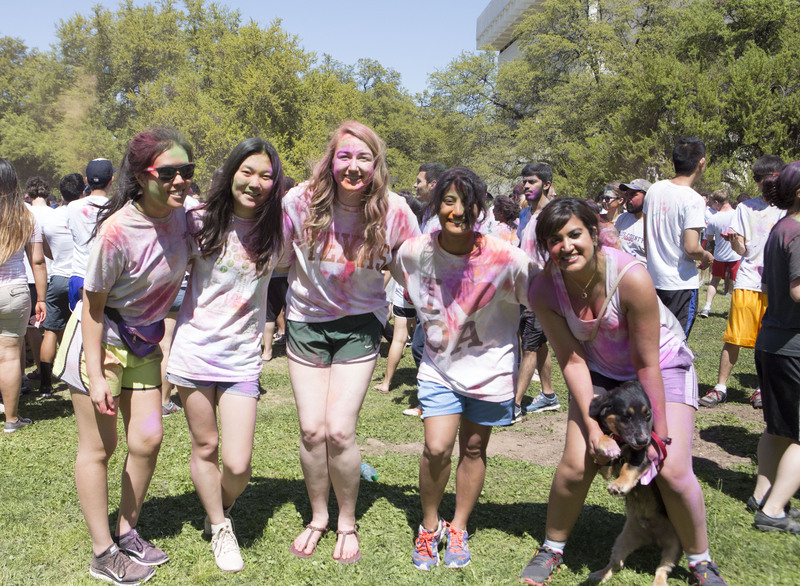 Friends gathered together to pose for a photo at this year's Holi 2015 Event. 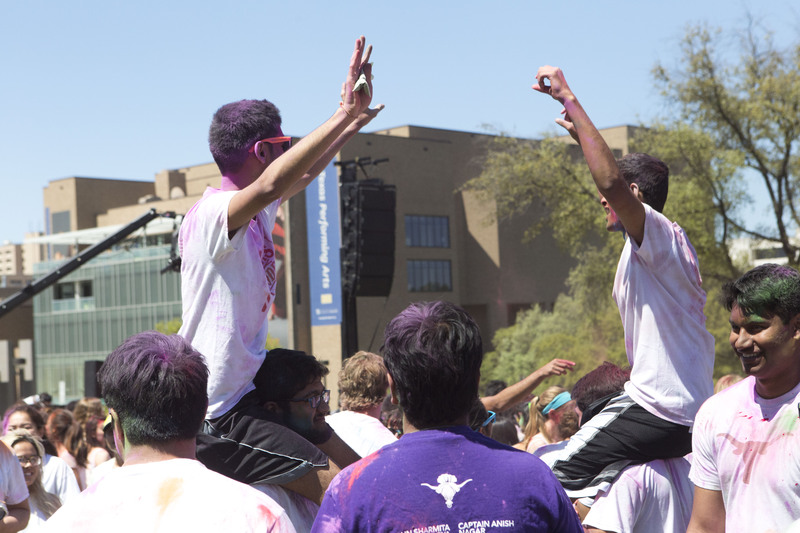 Approximately 8,000 people attended HOLI 2015. 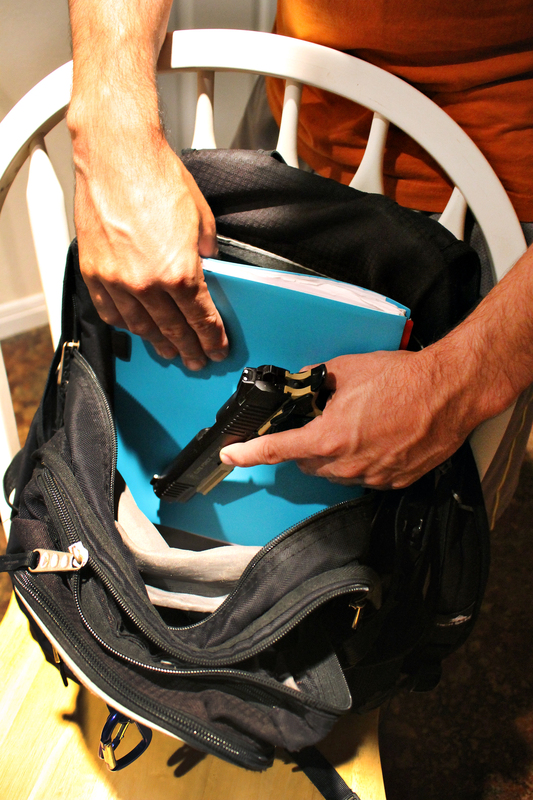 The 2015 legislative session at the Texas State Capitol began with much anticipated campus carry legislation, which would loosen current regulations by allowing concealed carry of handguns in public university buildings. In a vote along party lines the Texas Senate approved the bill, directing the legislation to the House and eventually to Gov. 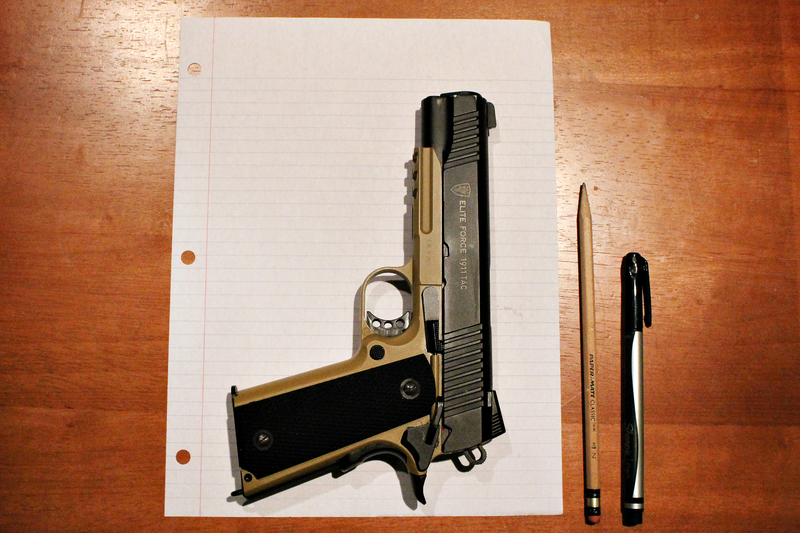 Greg Abbott’s desk. 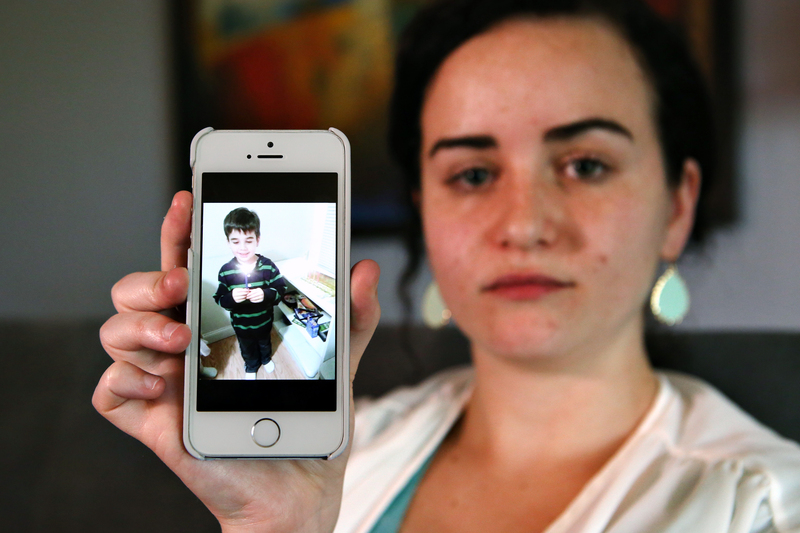 Danielle Vabner, UT Austin junior, shares a picture of her 6-year-old brother Noah Pozner, who was killed in the Sandy Hook Elementary School Shooting. 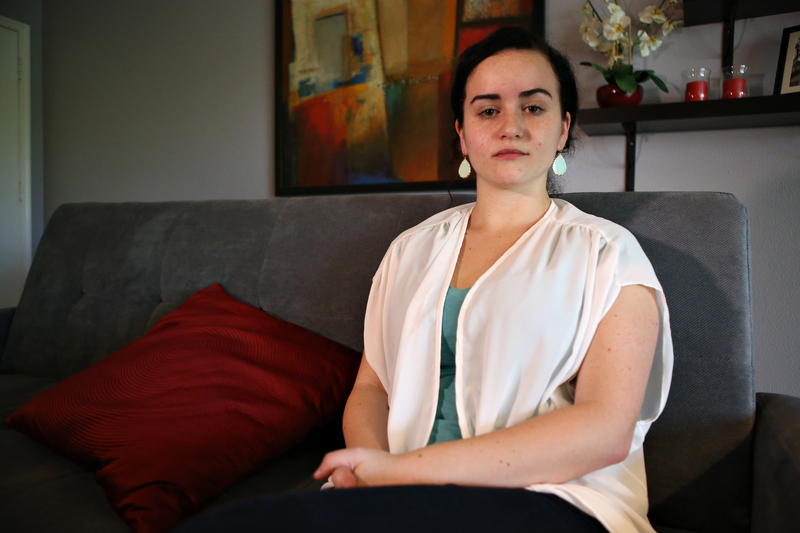 Vabner is an activist working to keep guns off college campuses. While the approval was a disappointment to many Texas college students, it didn’t come as a surprise from the GOP controlled state legislature. If passed, the bill will allow concealed handgun license (CHL) holders, 21 and older, to take their firearms on public campuses and inside classrooms. In 2010 a 19-year-old UT student, Colton Tooley, fired rounds from an AK-47 and turned the gun on himself while in the Perry-Castaneda Library. Danielle Vabner, a UT Austin Junior, transferred to Texas after her brother Noah Pozner was the youngest victim of the Sandy Hook Elementary School shooting. 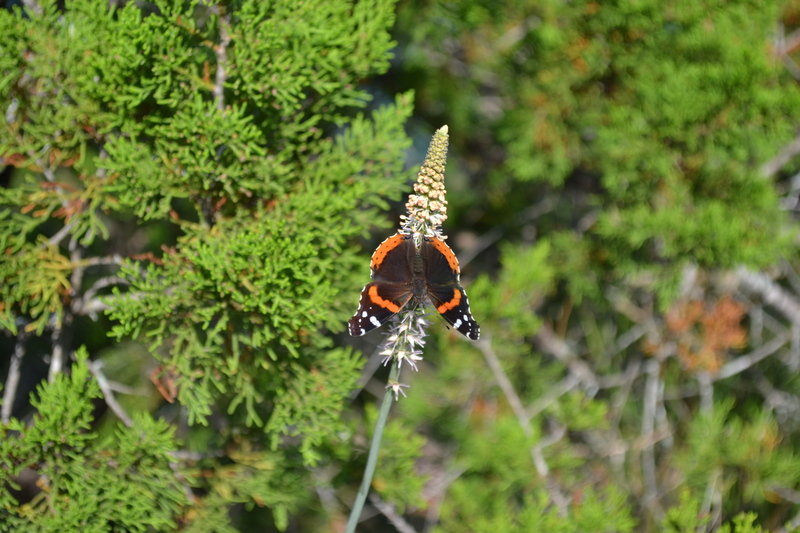 Vabner was hopeful a fresh start would aid in her recovery. However, now she fears she will be on a campus with armed classmates. “I certainly wouldn’t feel safe sitting in a classroom with someone that has a gun on their hip,” Vabner said. If passed and signed by Gov. Abbott, any individual with a CHL would be able to carry loaded guns on public college campuses. However, private schools could still prohibit students from doing so, according to The Guardian. Many UT students are hoping to amend the bill, by asking our state senators and representatives to allow individual universities to opt out. Rohit Mandalupu, UT Austin Student Government Vice President-elect, testified to the House Homeland Security committee in an effort to save UT from potential guns on campus. “We at least want some sort of opt-out clause that private institutions get, we want ourselves to be able to make the decision essentially for if weapons should be allowed on campus instead of people sitting in a Capitol building where they don’t have as much stake as we do,” Mandalupu said. The National Rifle Association has backed the bill to allow guns on Texas college campus, according to the Washington Post. “I am proud of the fact that the Texas Senate is making history while defending life, liberty and our Second Amendment Right,” Texas Lt. Gov. Dan Patrick said in a statement praising the senate’s approval. 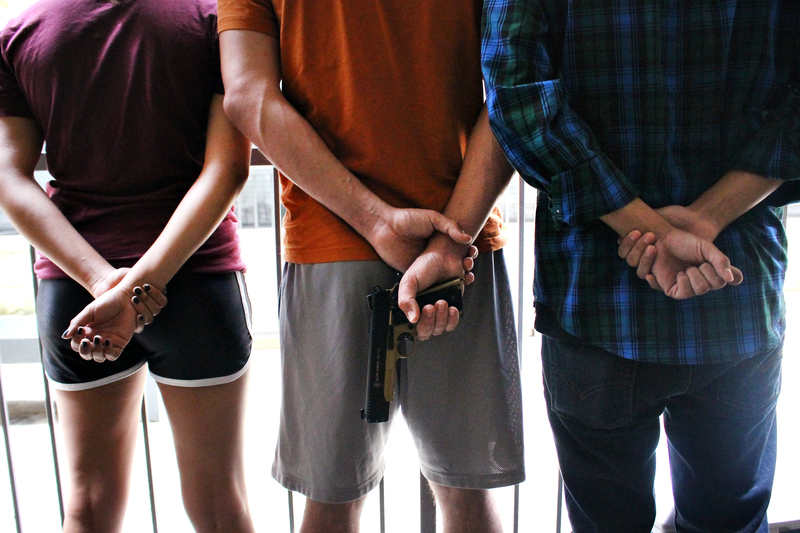 While students have come out in waves against the proposed legislation making its way through the Capitol, there are others on the UT campus who believe this is simply part of their right to bear arms and protect themselves. College republicans, a UT campus organization has voiced their support throughout this year’s legislative session, even going as far as testifying in support to the Senate and House committees. 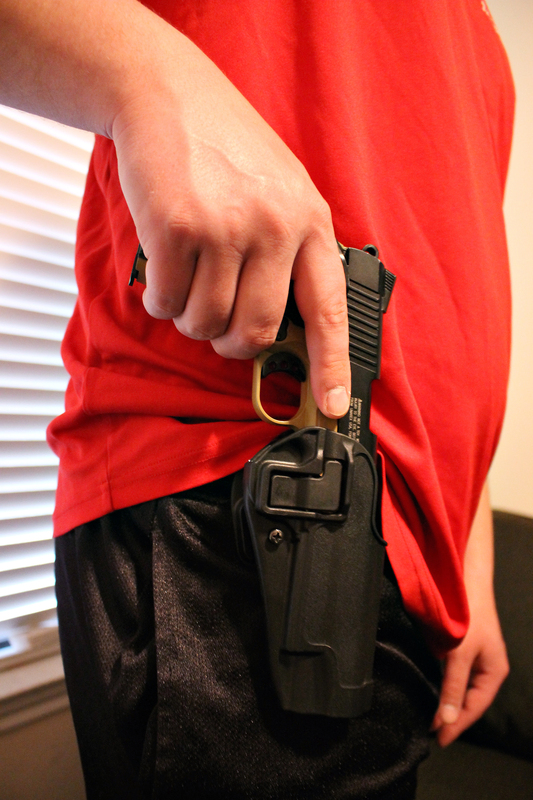 “College republicans definitely support concealed carry on campus, we believe it can provide students who have their CHL a way to protect themselves against any kind of crime,” said Bridget Guien, communications representative for college republicans. The University of Texas Chancellor, retired U.S. Navy Admiral William McRaven has repeatedly expressed his view on the issue. In a letter to legislative leaders McRaven adamantly expressed his opposition, his apprehension is rooted in concern for the safety of students, faculty and staff. 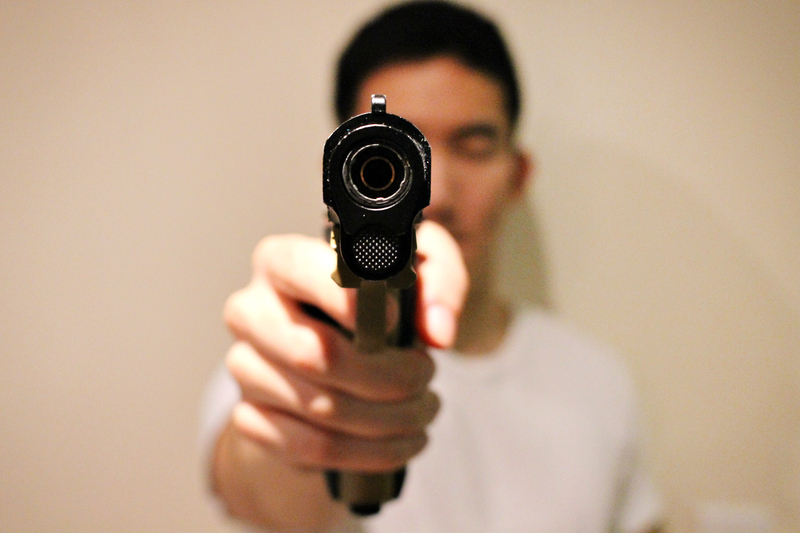 “There is great concern that the presence of handguns, even if limited to licensed individuals age 21 or older, will lead to an increase in both accidental shootings and self-inflicted wounds,” McRaven wrote. Danielle Vabner wrote a letter to McRaven praising him for putting students and faculty first. Her letter was then published in the Austin American Statesman. “Noah was a big fan of super heroes — he was always running around in a Spiderman or Star Wars costume. 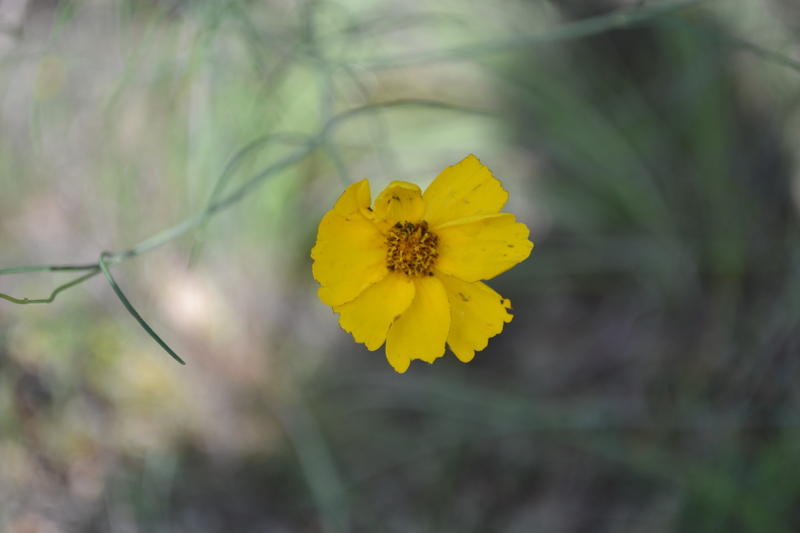 Although you wear an entirely different uniform, I know you will be a champion for preserving the safety of Texas college students,” Vabner wrote. Many college professors have spoken out against the bill, expressing concern for their safety as educators. “I cannot imagine a young person having to go visit with a professor about possible being on probation, upset over a grade, or to discuss some contentious issue related to an assignment and having a gun easily accessible,” said Sen. Rodney Ellis of Houston. Several UT students and faculty members attended committee hearings at the state Capitol to express their opposition to the bill, many of which took place over the University spring break. 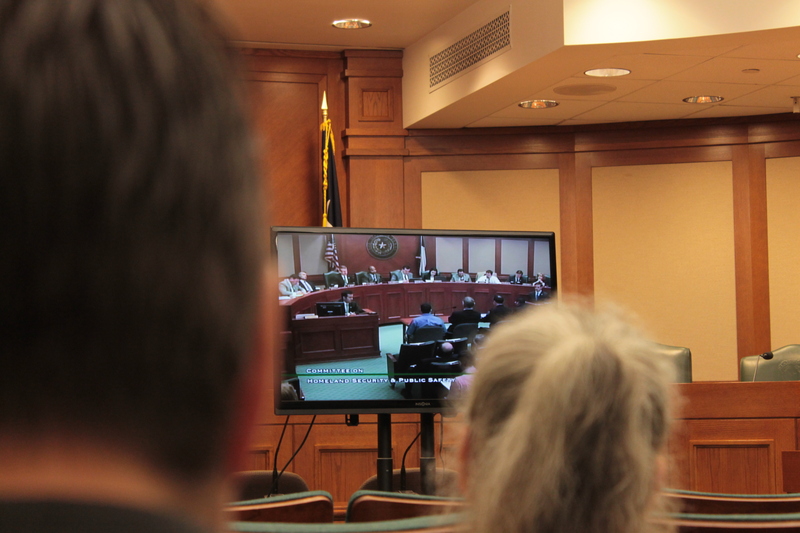 Concerned citizens watch a Senate committee hearing about SB11, the campus carry bill, on monitors from an overflow room in the Capitol annex. Grant Wilson, a UT engineering professor is adamantly against the the bill and testified in front of the House committee on homeland security. Rohit Mandalupu also spent time at the Capitol, testifying on behalf of the UT student government, urging senators and representatives to allow universities to opt out of the bill. Activists from both sides of the heated debate have voiced their opinions on social media under the hashtags #campuscarry and #txlege. While the University has come out against the proposed legislation and the majority of Texans disapprove of firearms on college campuses, it’s safe to say the Texas Senate, House and Governor don’t seem to mind. Allowing concealed handgun license holders to tote pistols on college campuses could cost tens of millions of dollars, a burden that could be ultimately passed on to students or siphoned away from education and research programs at Texas universities. The bill would allow permit-holders — people 21 and older who have passed a background check and shooting test — to take their firearms on public campuses. However, private colleges and universities could still prohibit them. 72% of Texans don’t think college students should be allowed to bring concealed handguns to class, according to a poll from Everytown for gun safety. 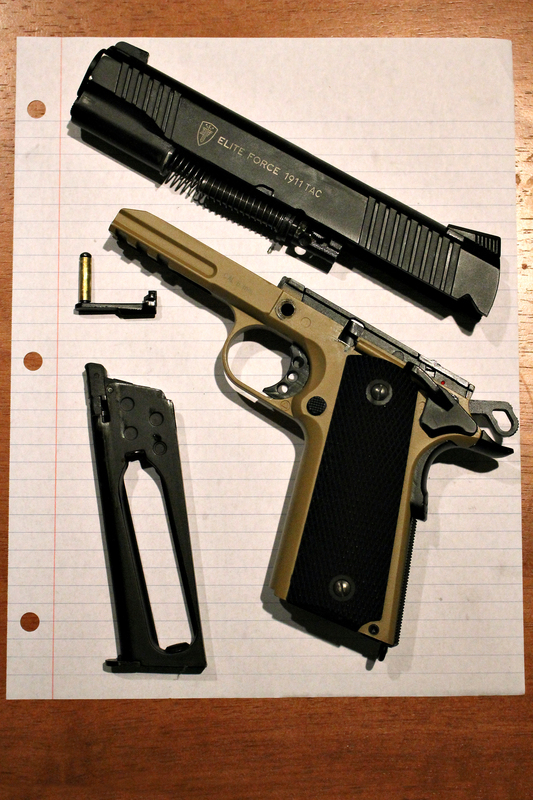 Some students on campus feel it is their right to bear arms and be able to protect themselves on campus. According to data from the university, more than 48,000 students were enrolled in classes this spring at the University of Texas. 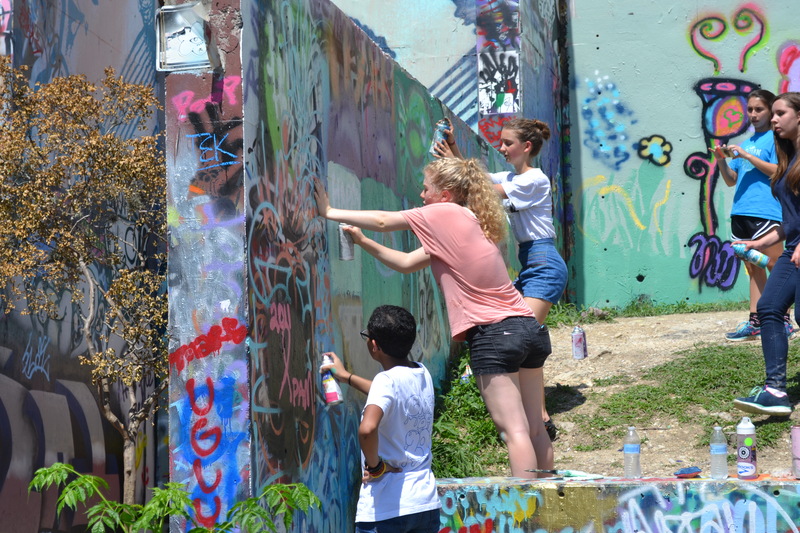 Of those, more than 56 percent of the students are 21 or older, making them of age to have a CHL, according to KXAN News Austin. 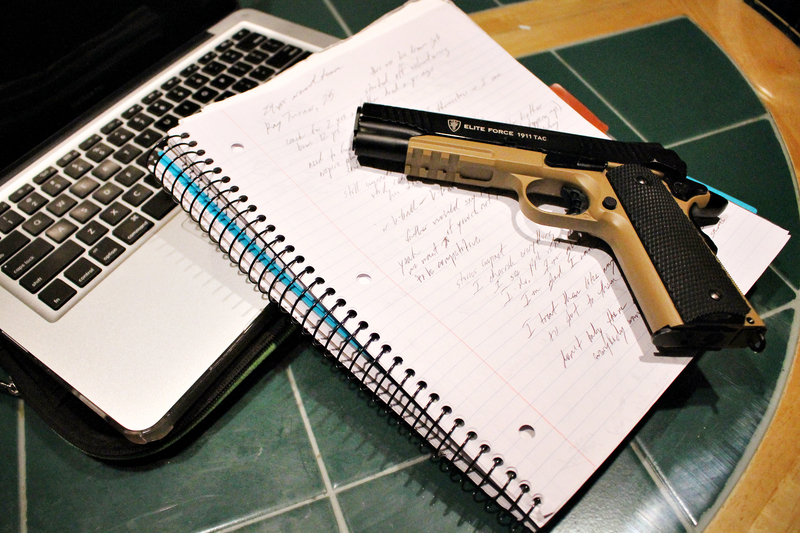 Some college students fear for their safety on campus if SB 11 is signed into law. 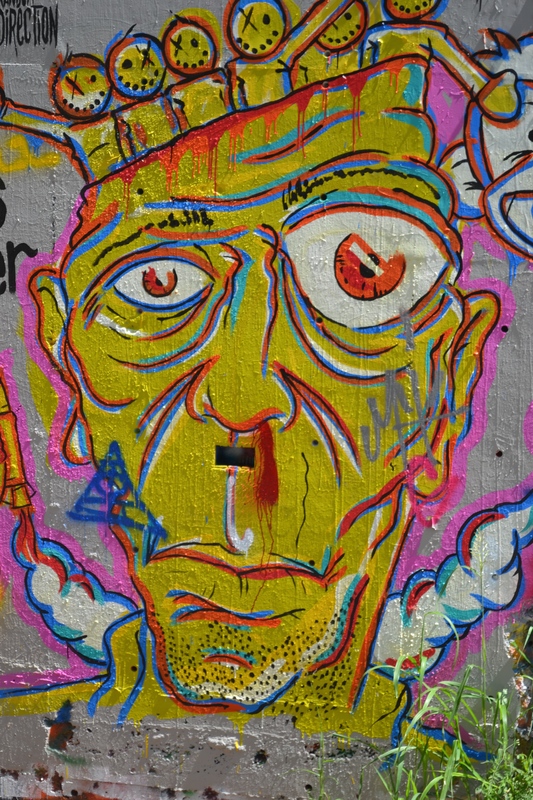 Many worry the stress of college will contribute to more active shooter situations. Danielle Vabner, UT student, spent last summer as an intern with Everytown, a gun safety movement. Since the December 2012 shooting in Newtown, CT, where Vabner's brother was killed, there have been at least 114 school shootings in America — an average of nearly one a week. 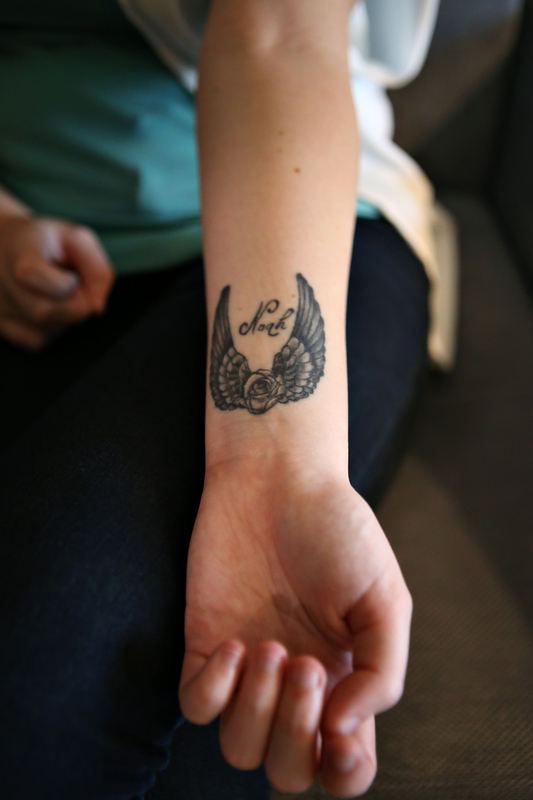 Vabner got a tattoo in honor of her deceased brother Noah. She believes he watches over her like an angel.